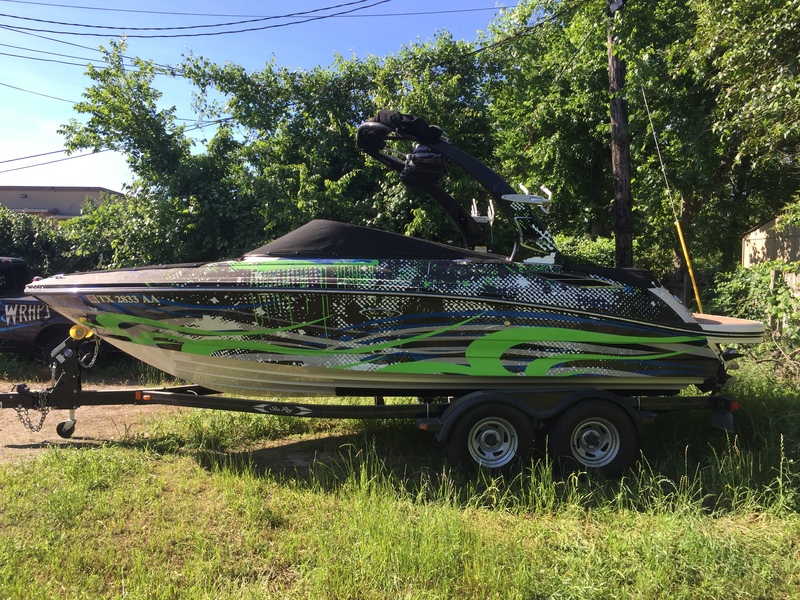 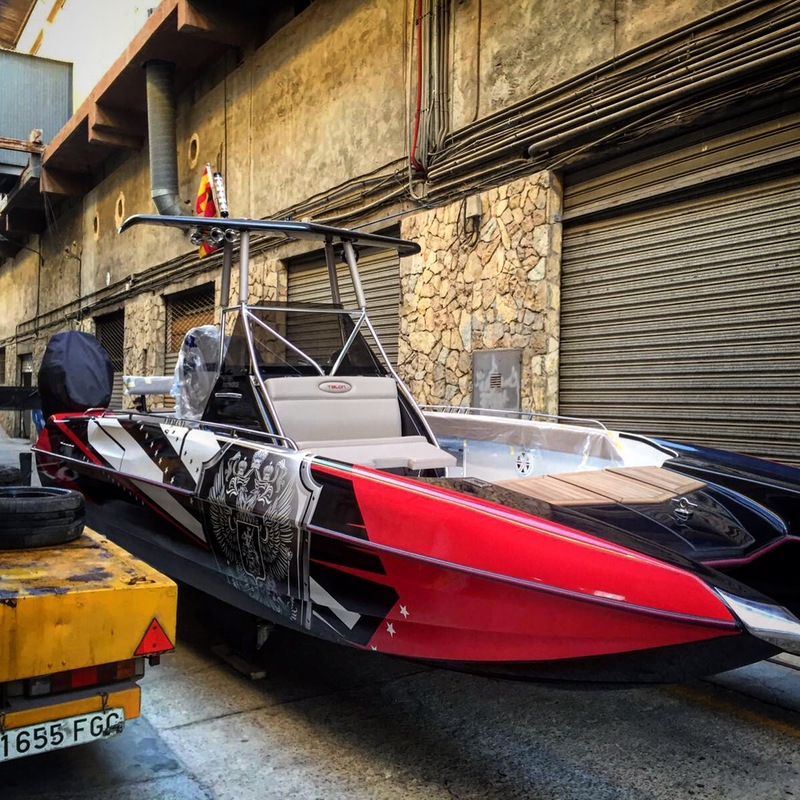 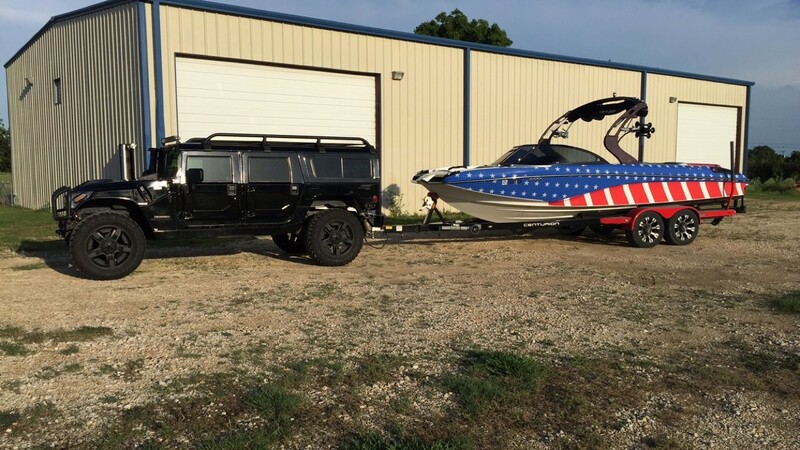 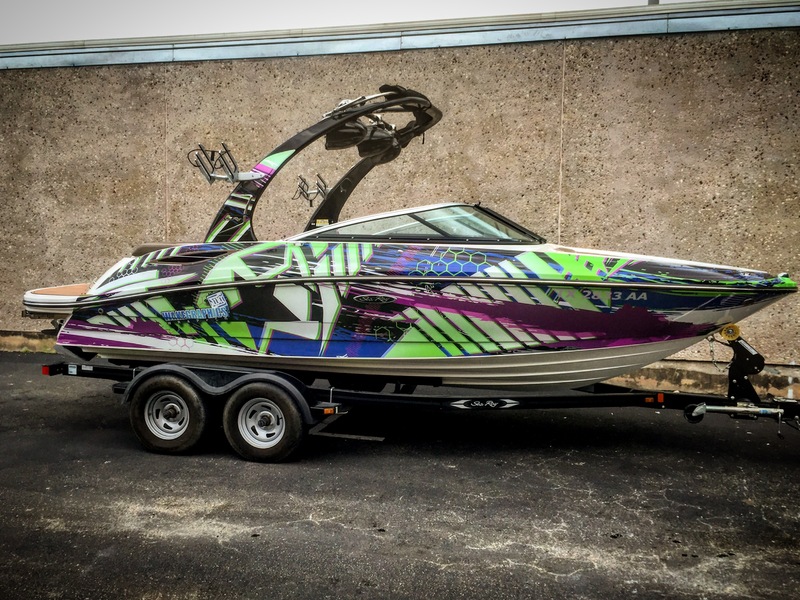 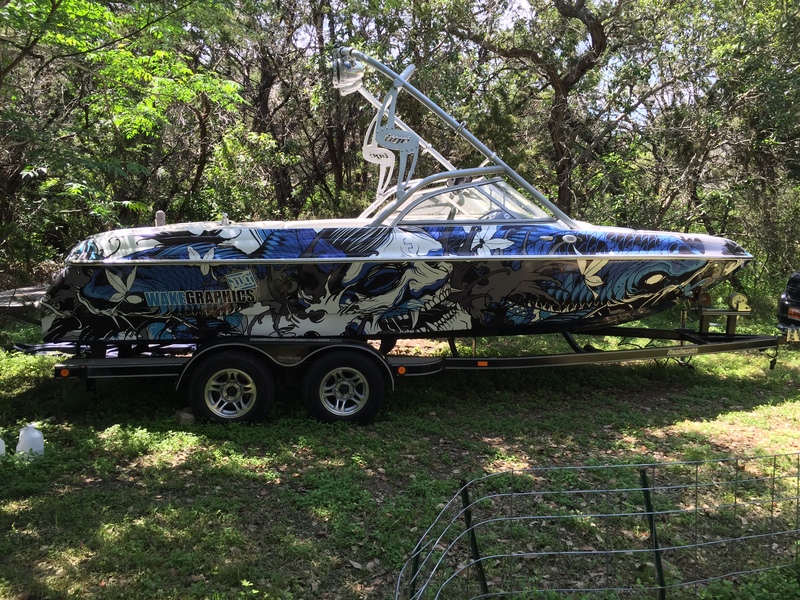 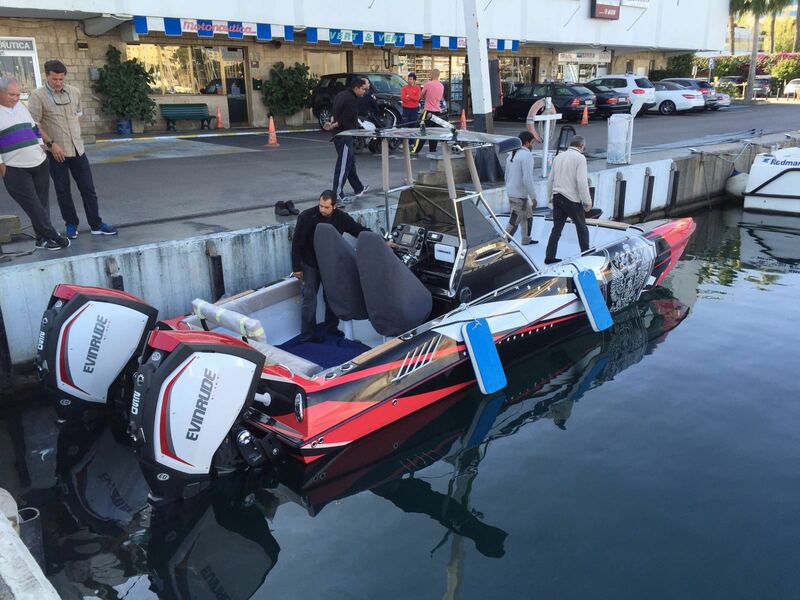 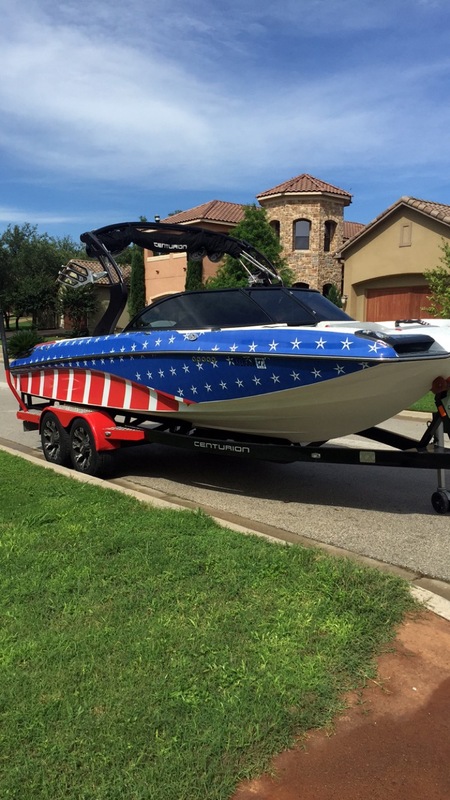 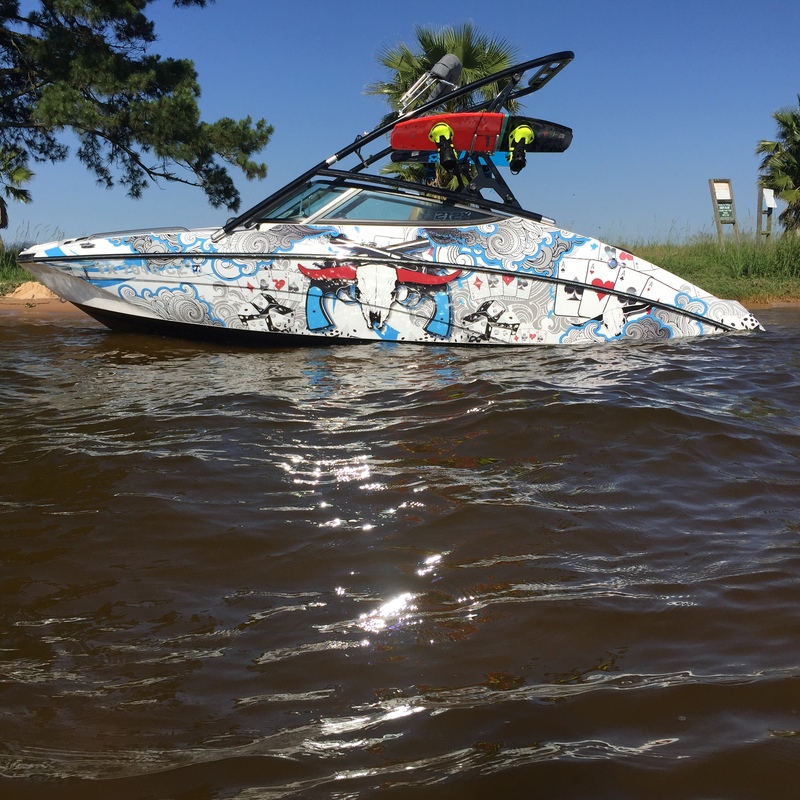 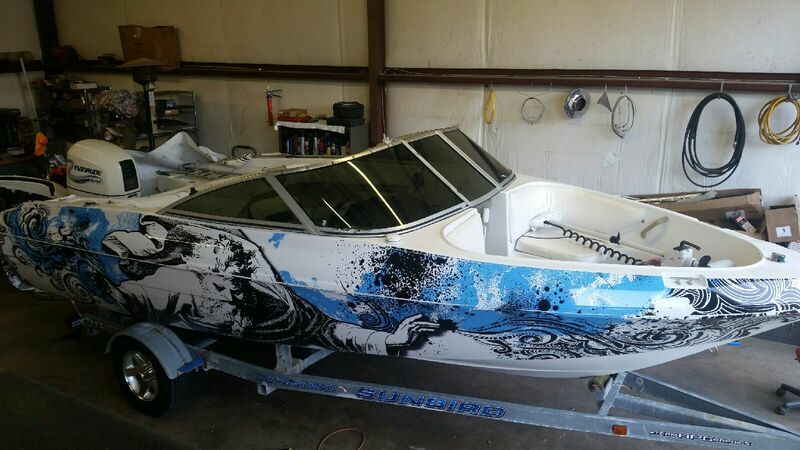 1994 Baja Shooter 27 – “The Shavi″ – BOAT FOR SALE! 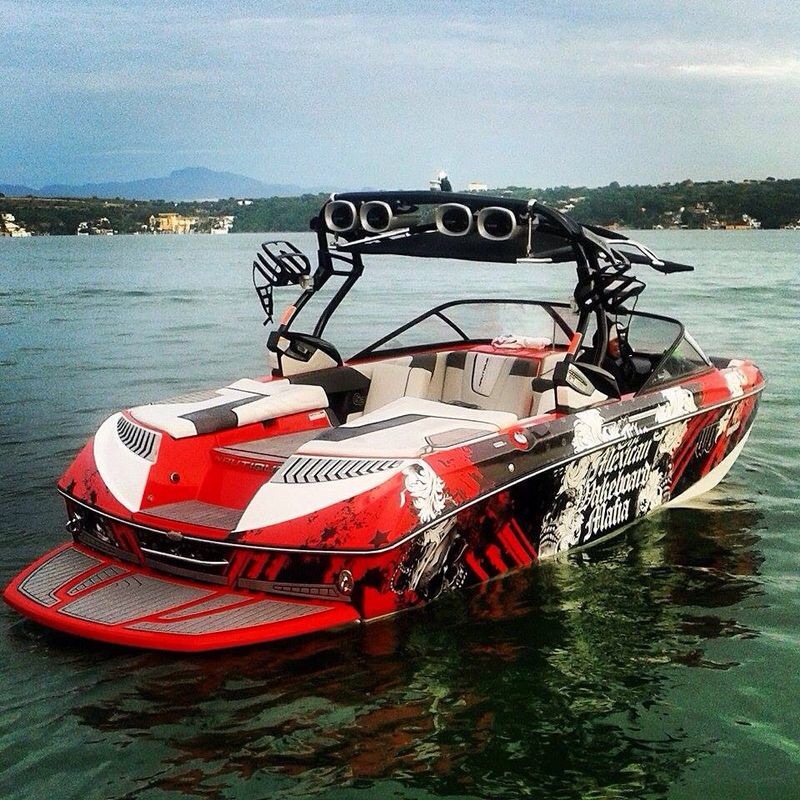 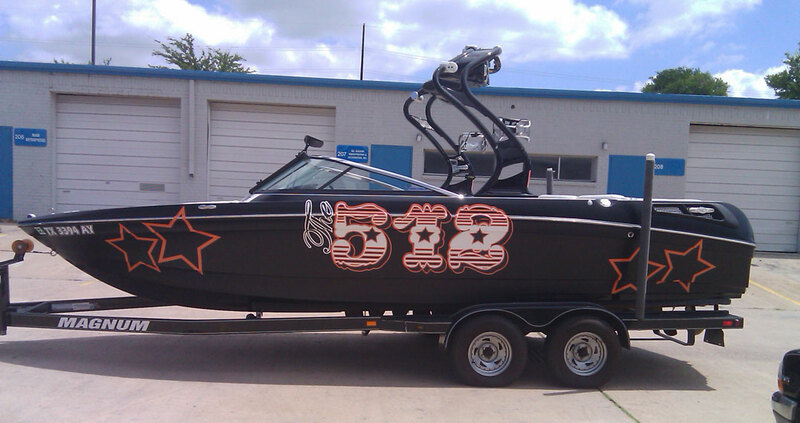 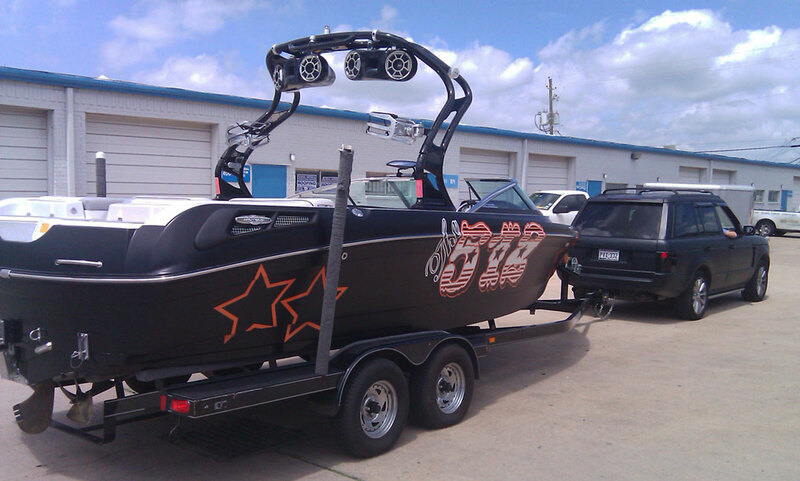 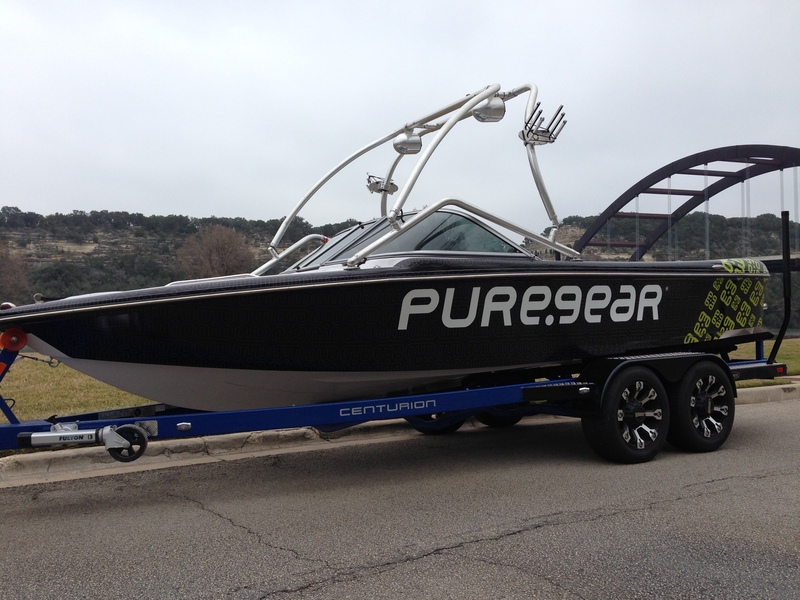 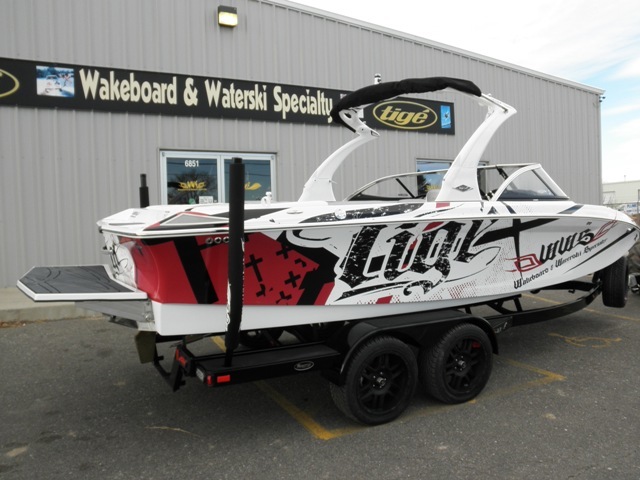 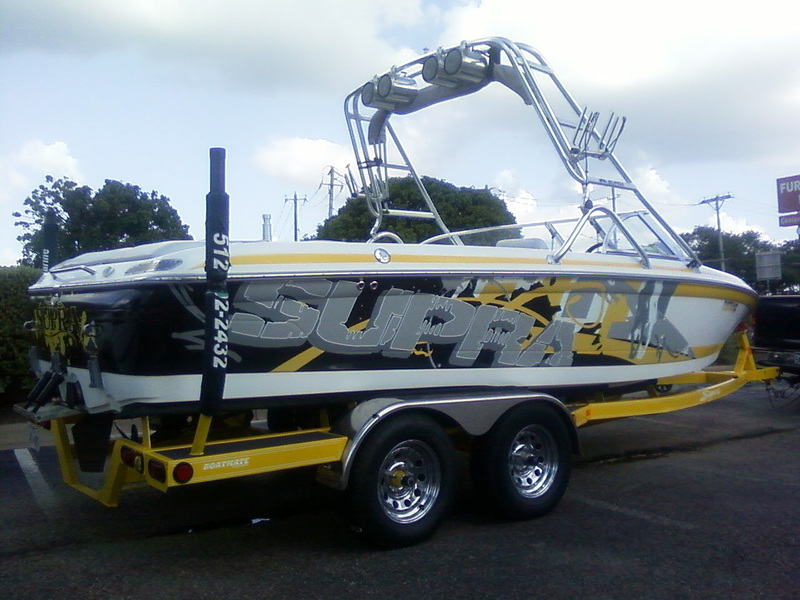 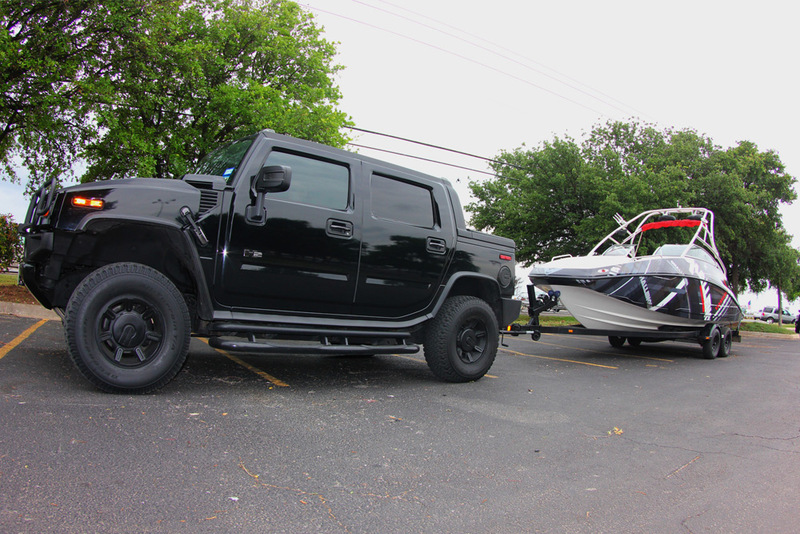 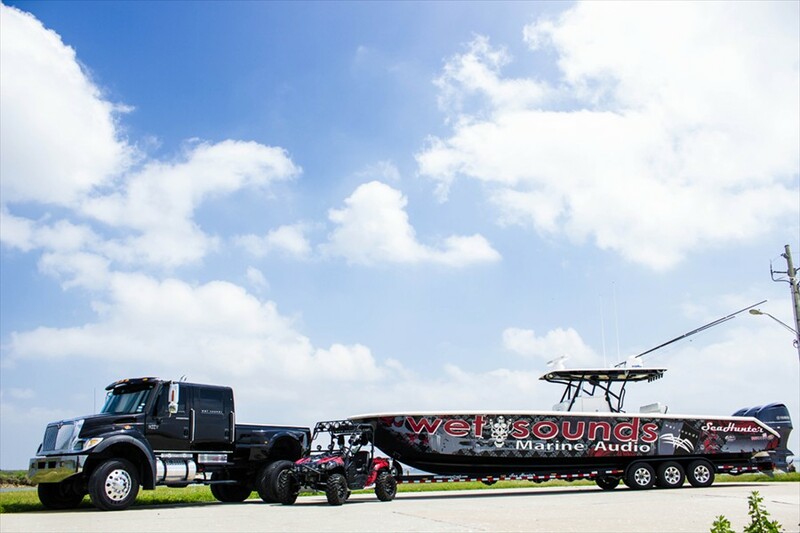 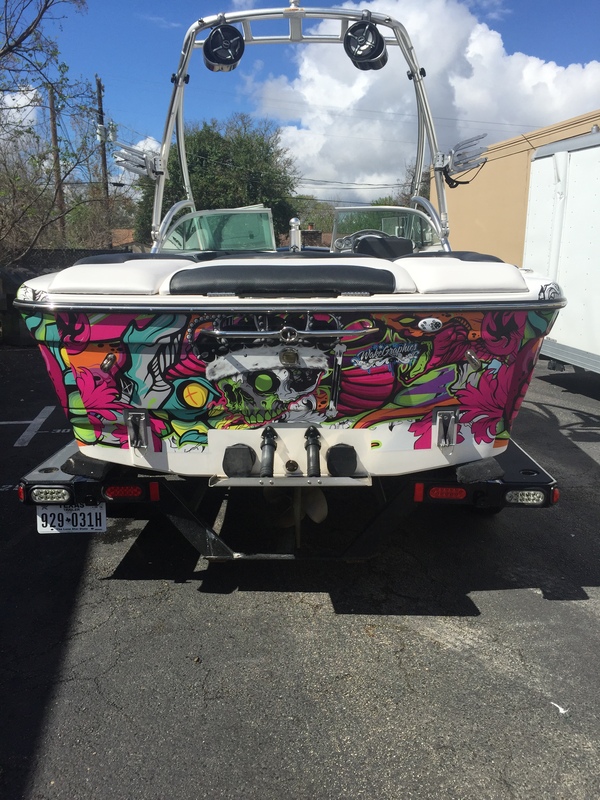 If you want your boat to stand out on the water, start call us now! 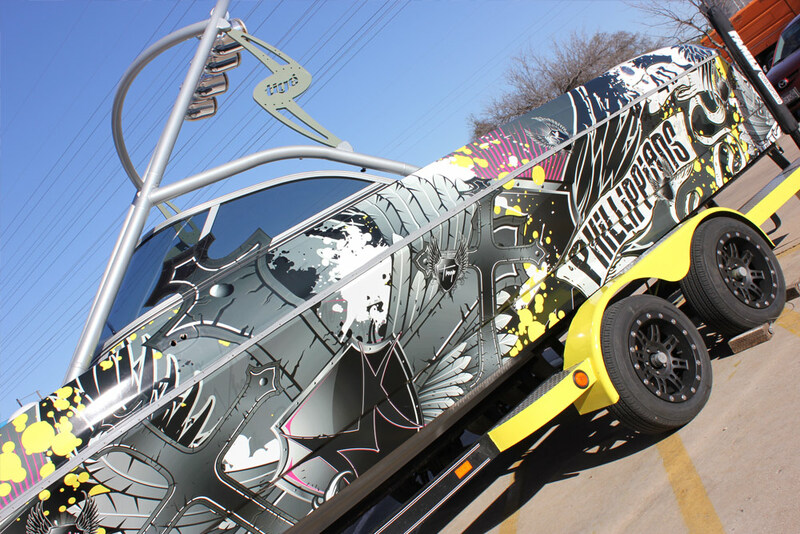 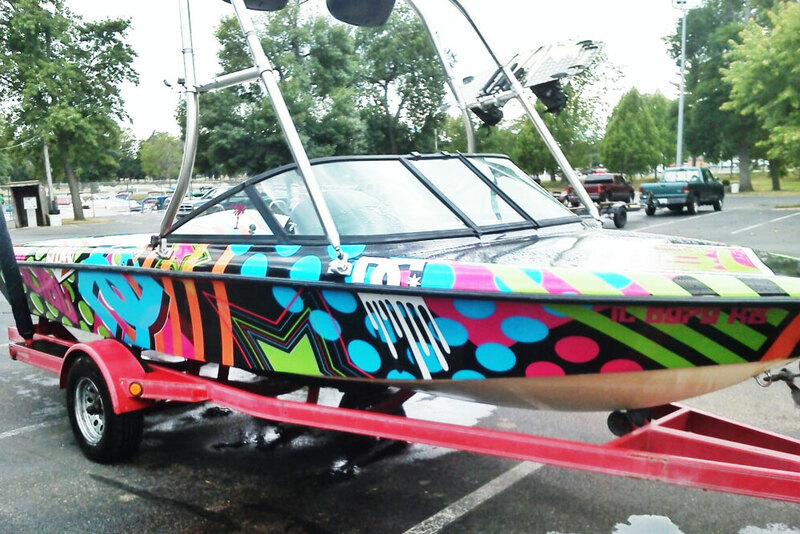 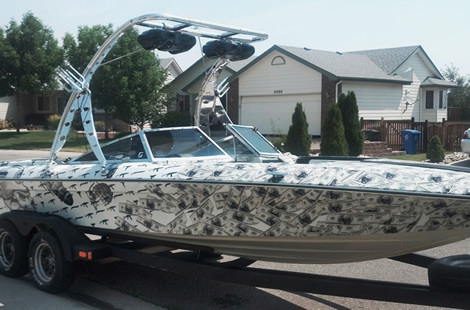 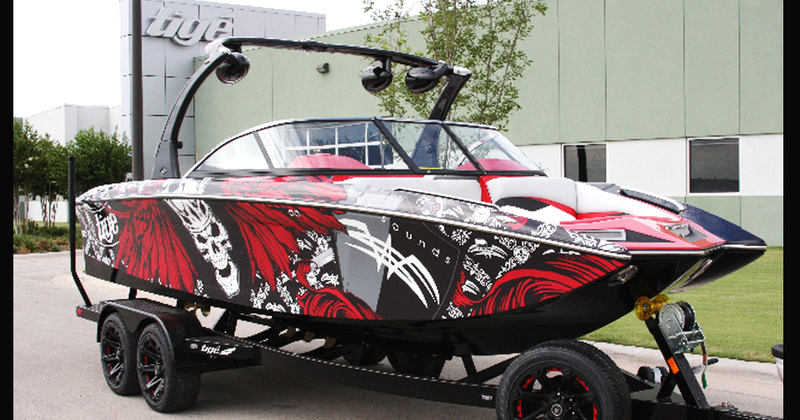 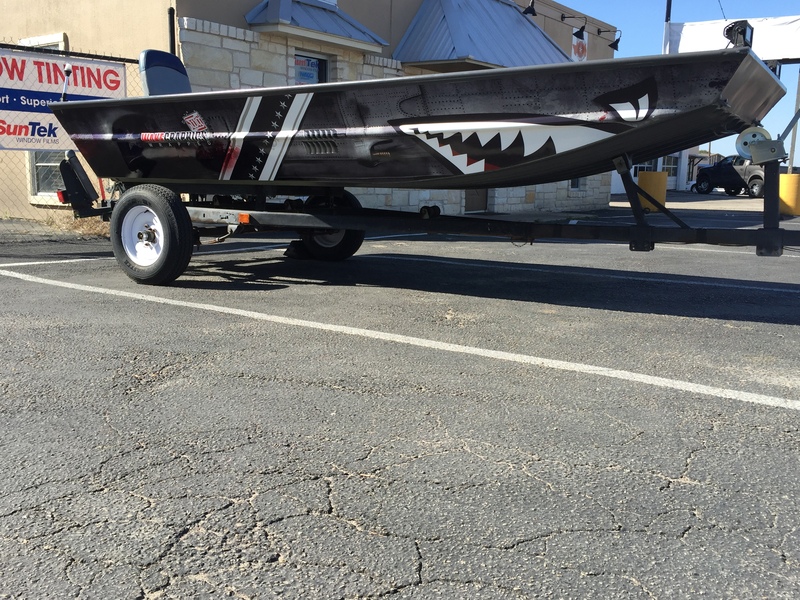 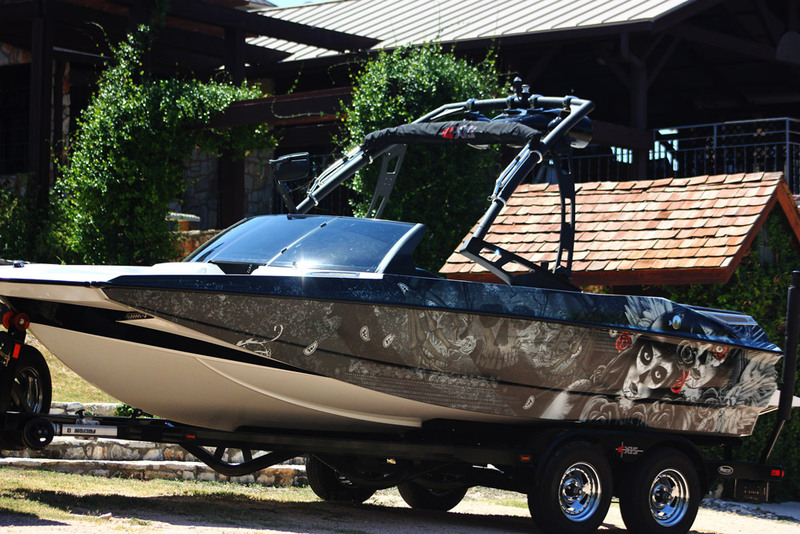 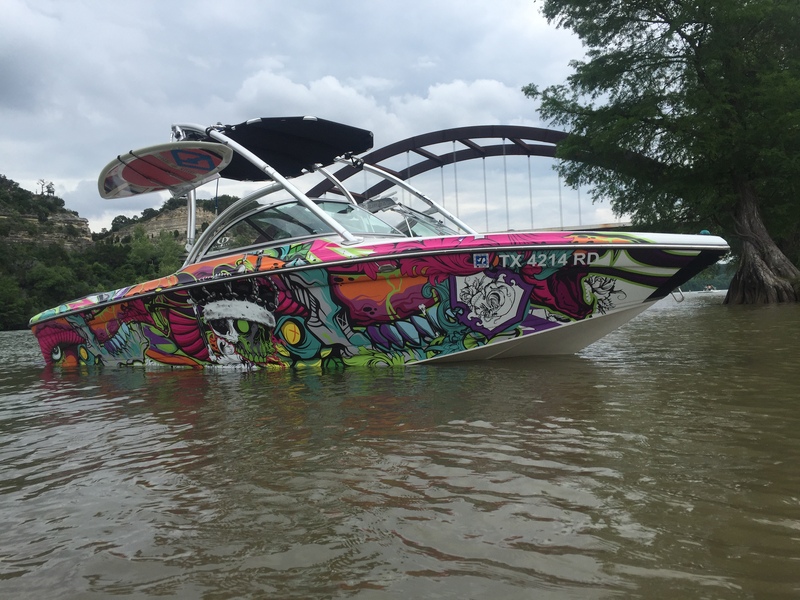 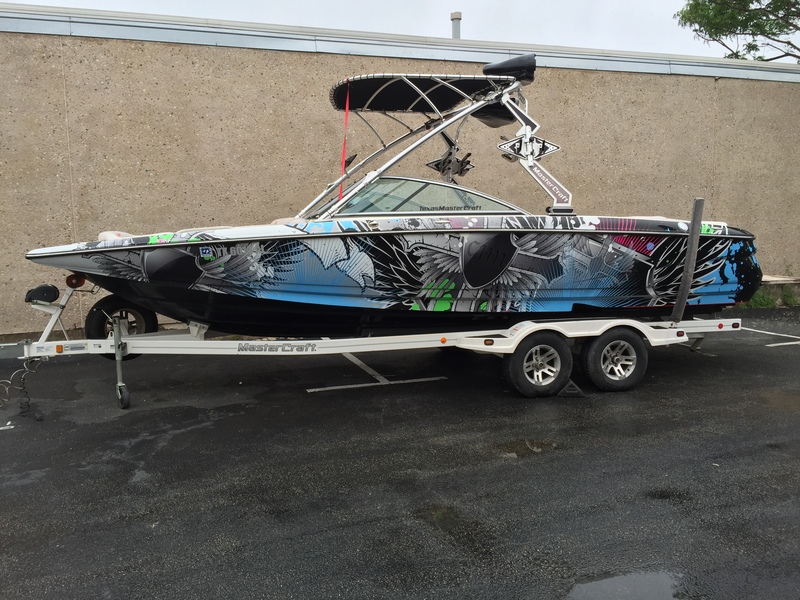 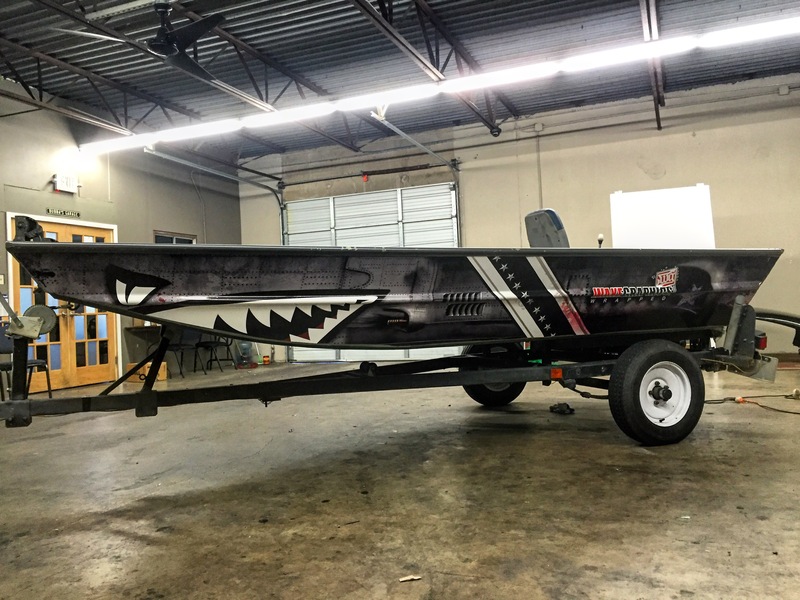 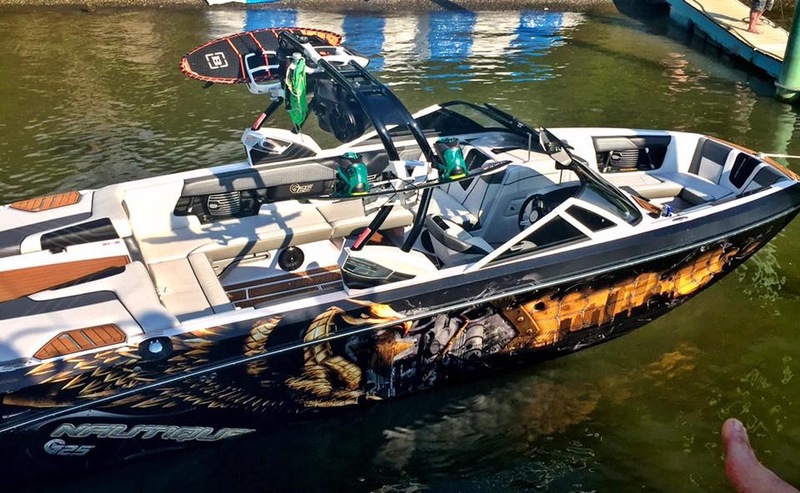 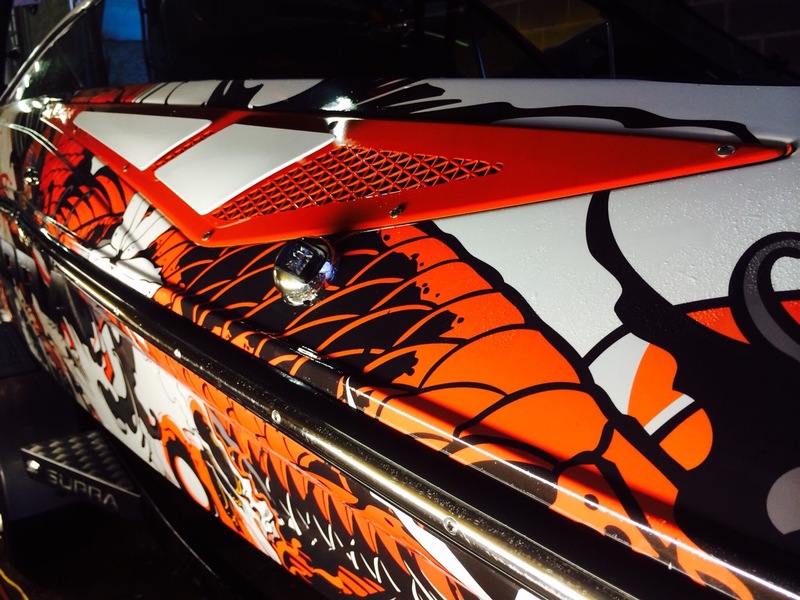 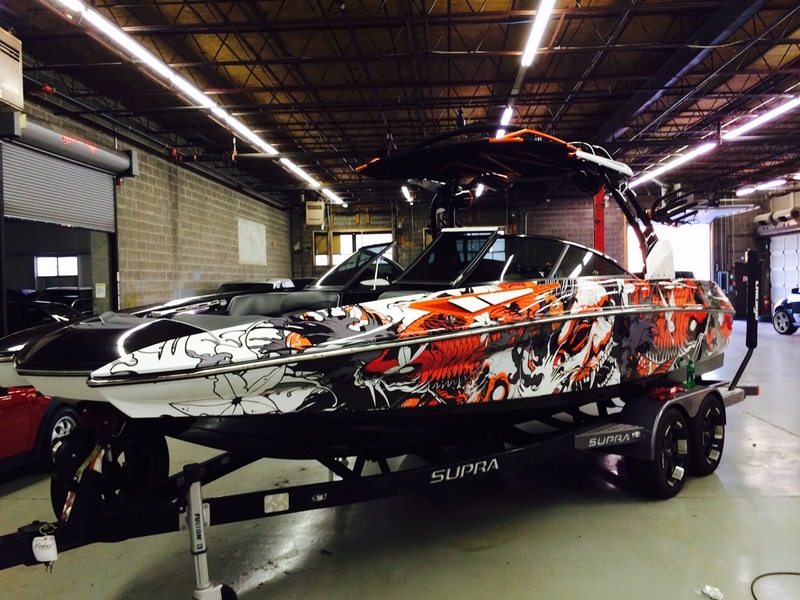 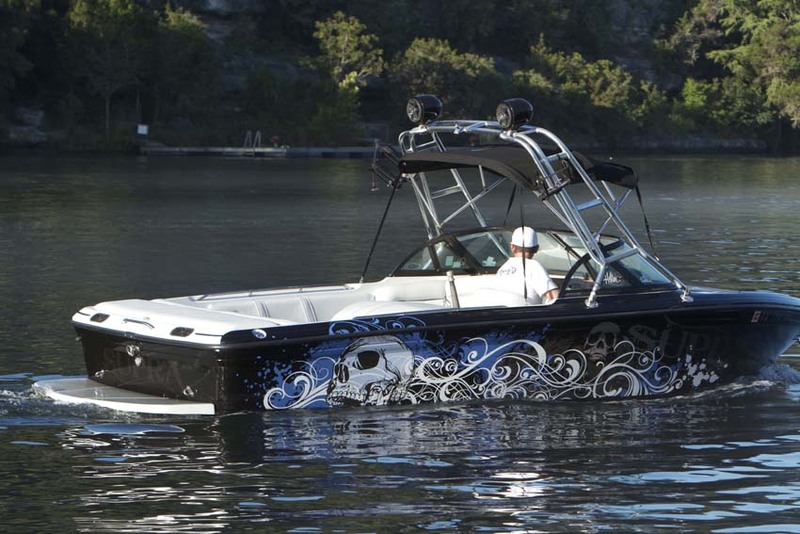 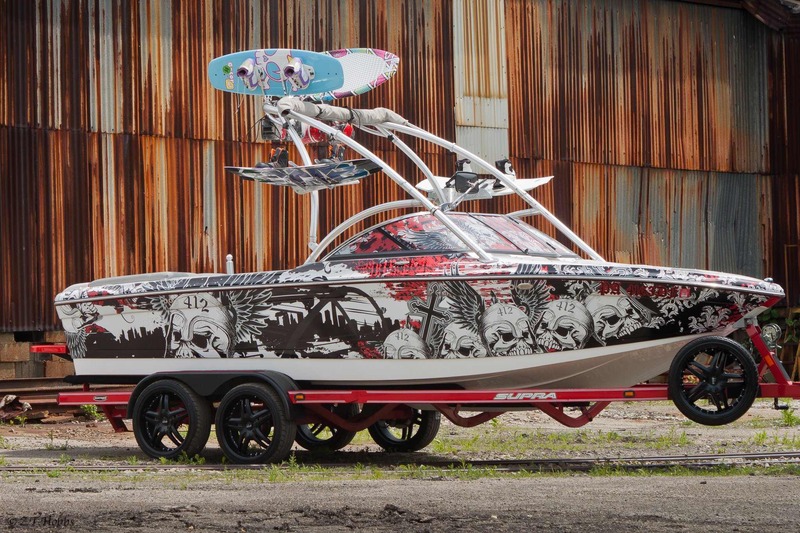 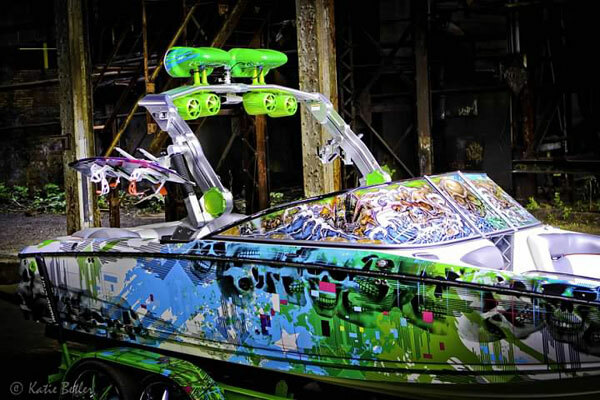 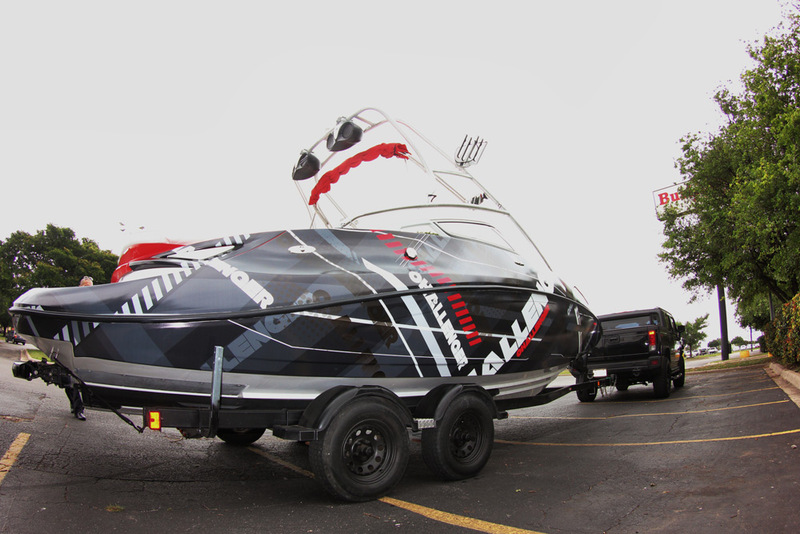 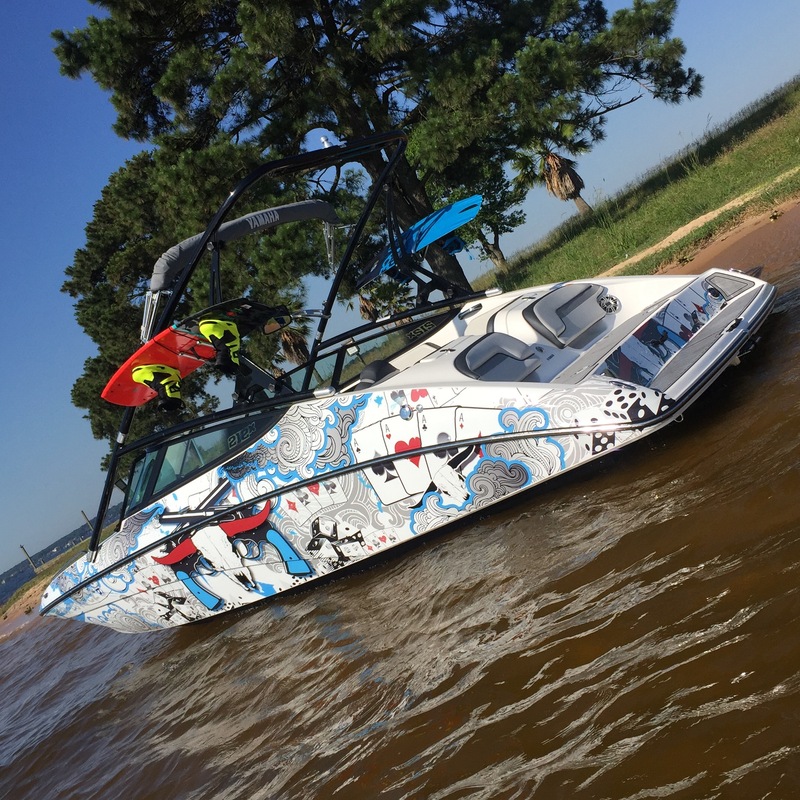 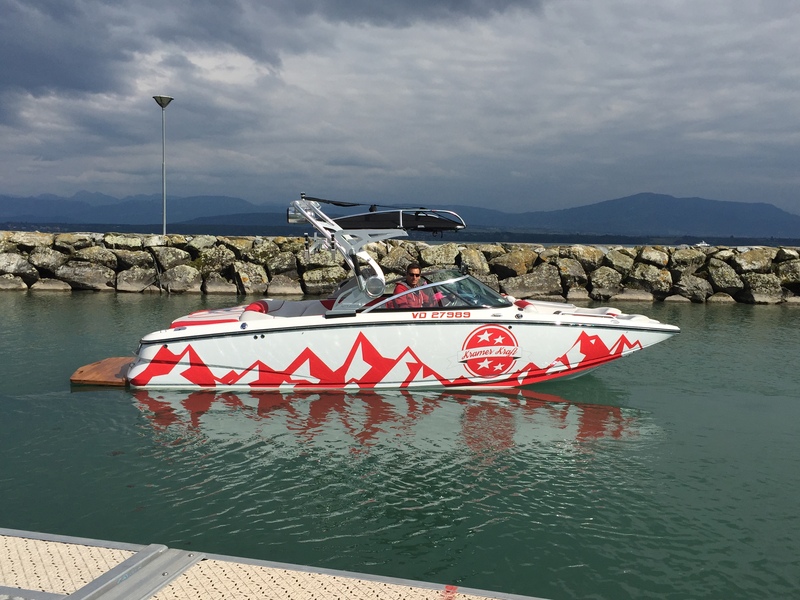 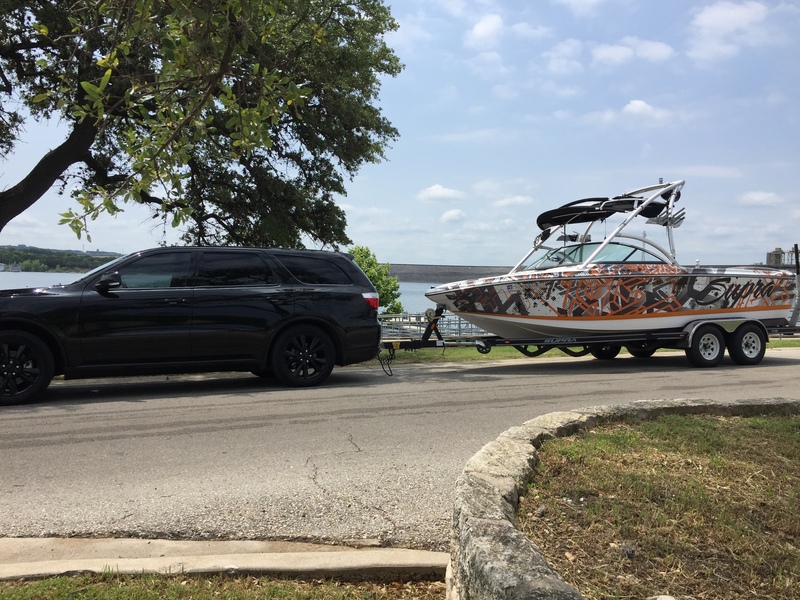 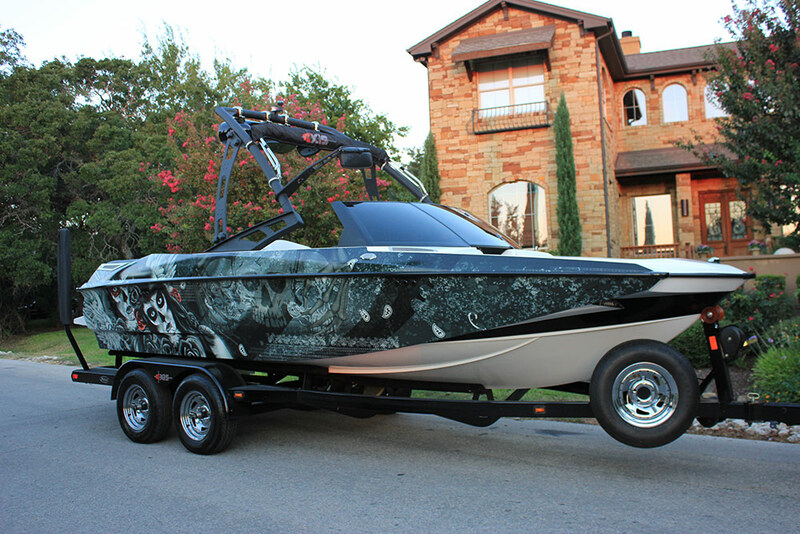 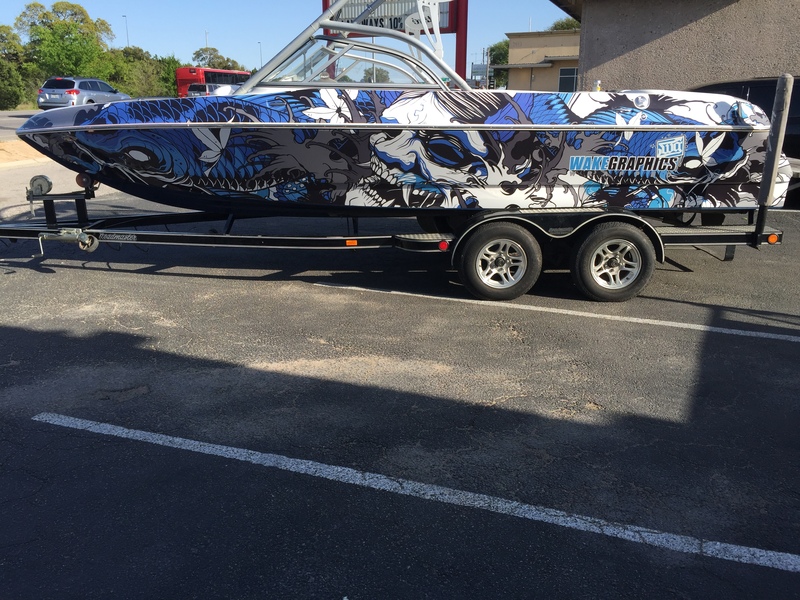 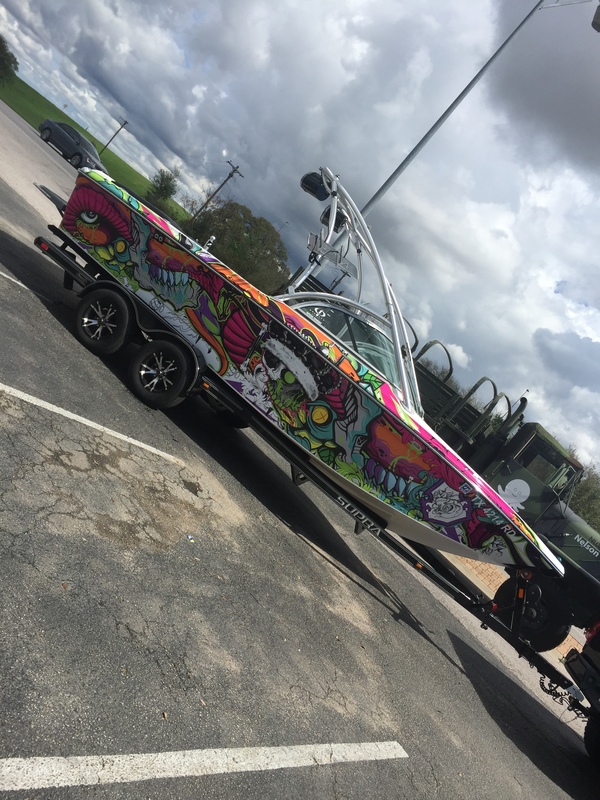 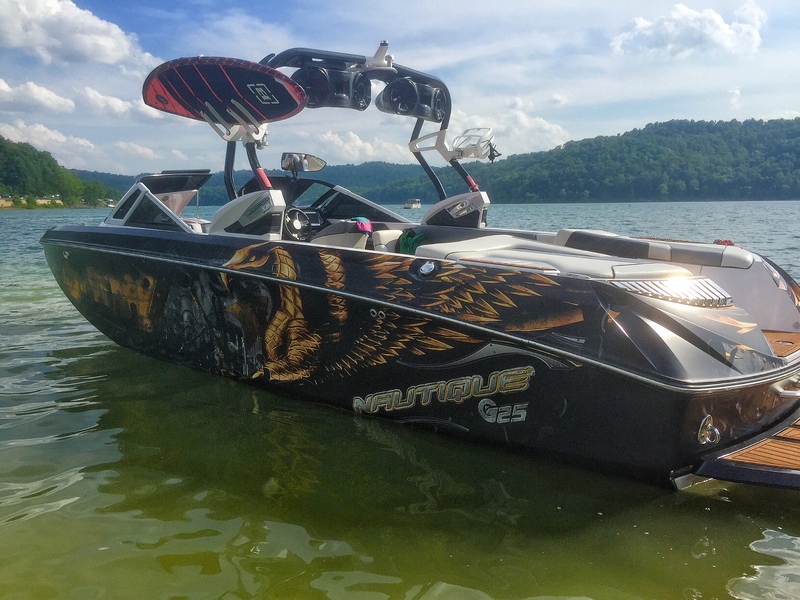 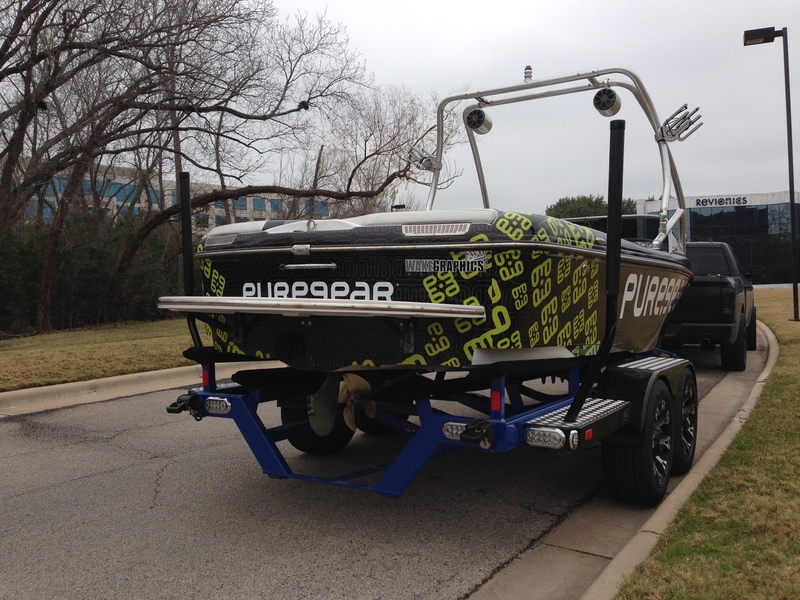 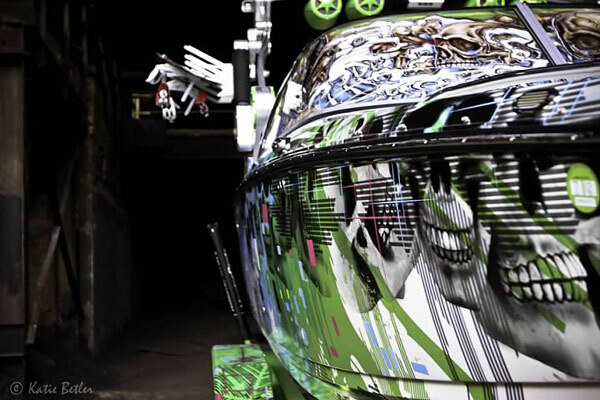 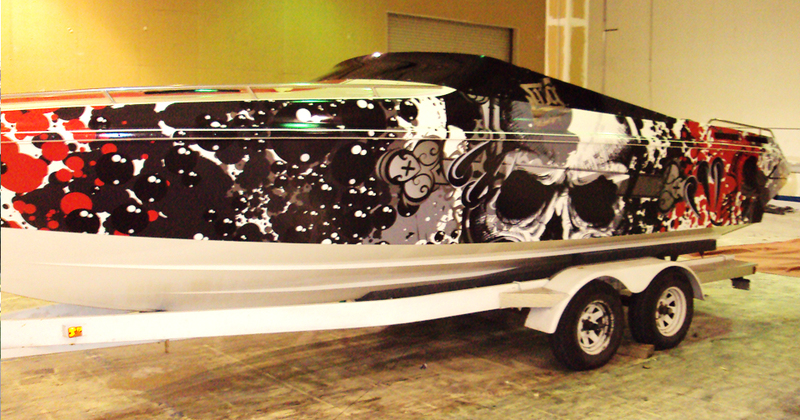 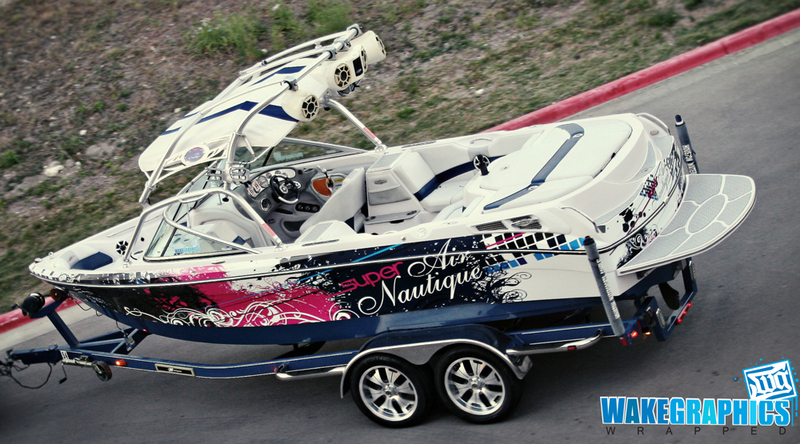 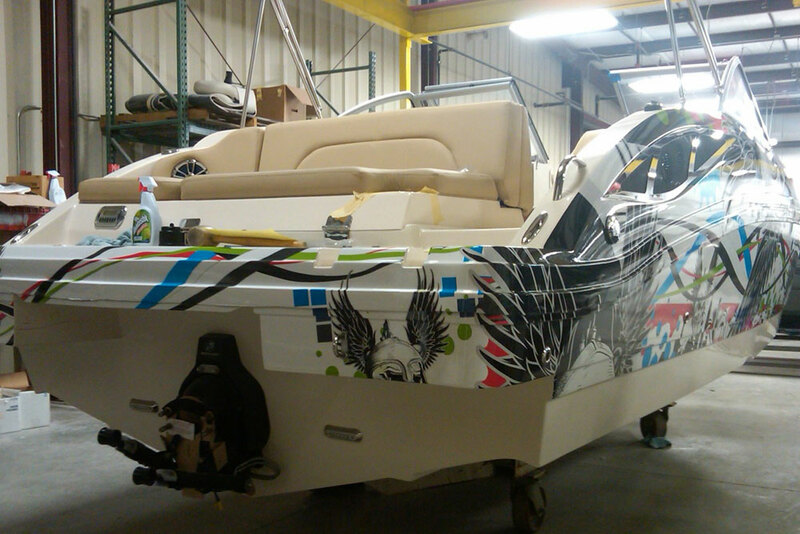 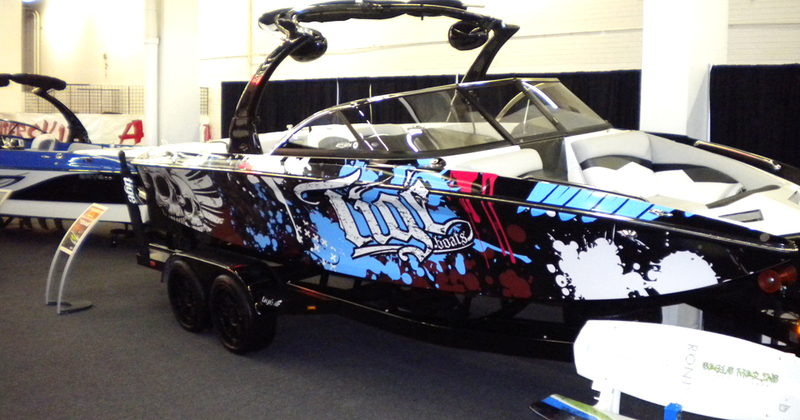 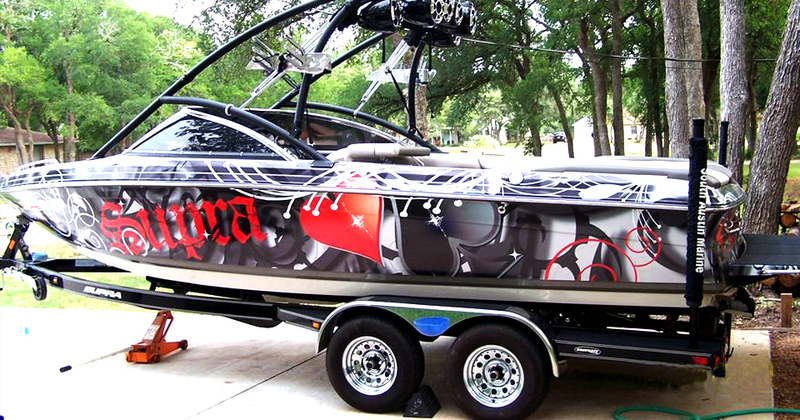 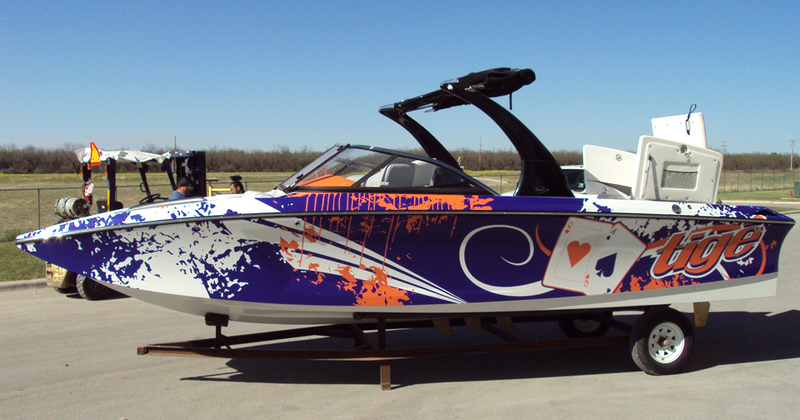 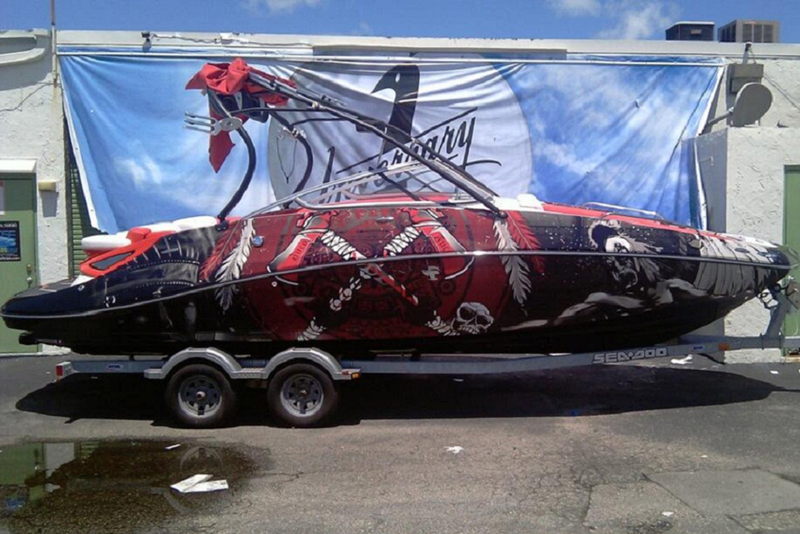 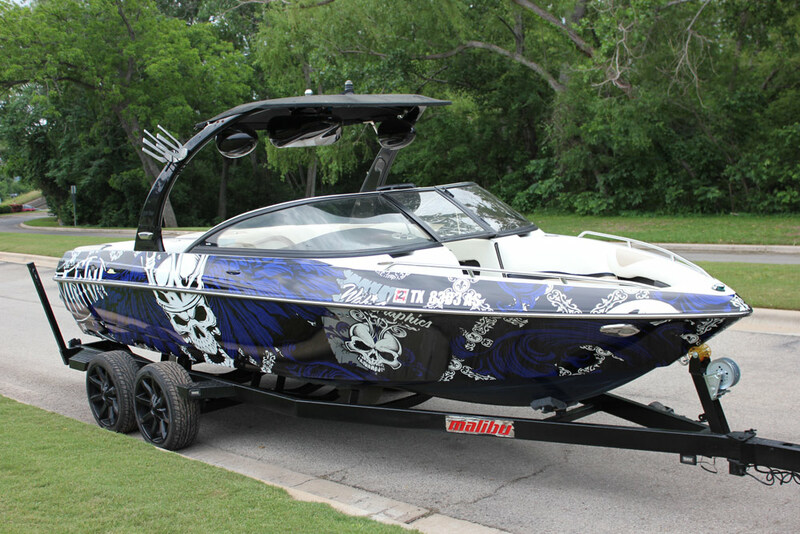 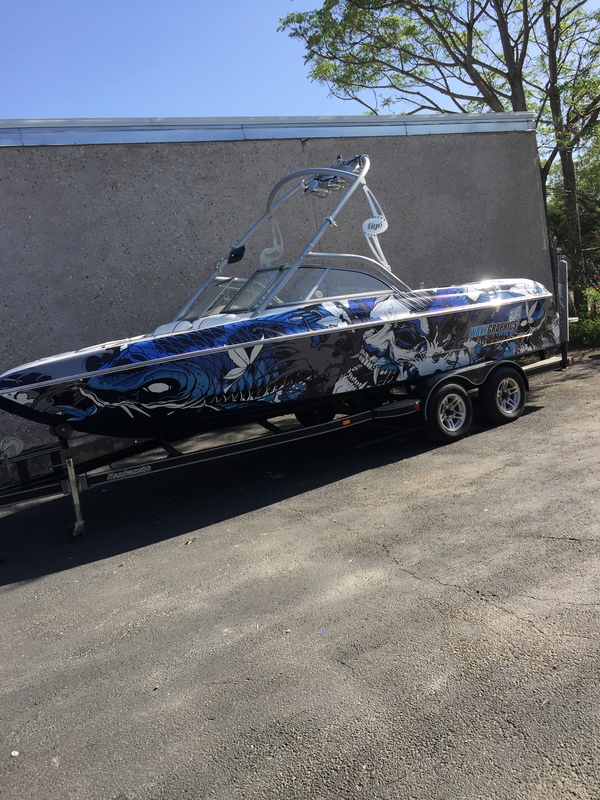 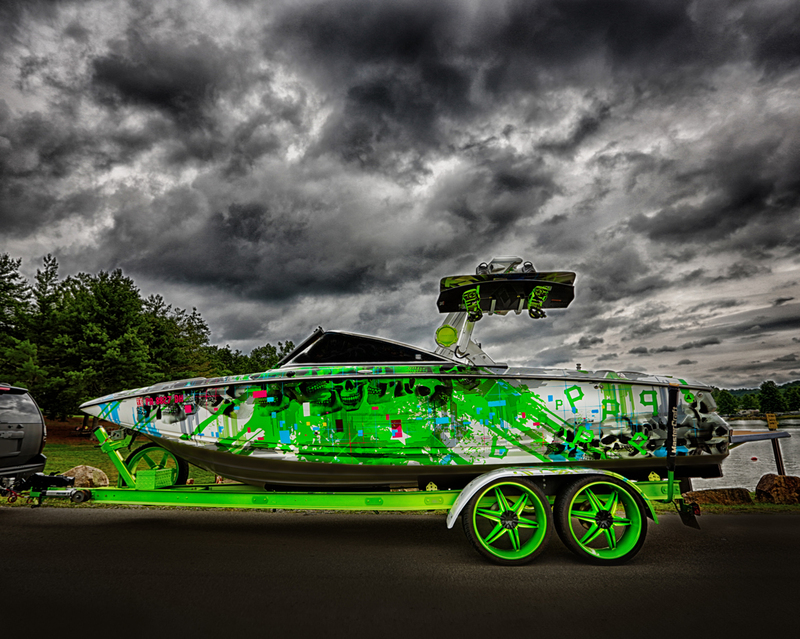 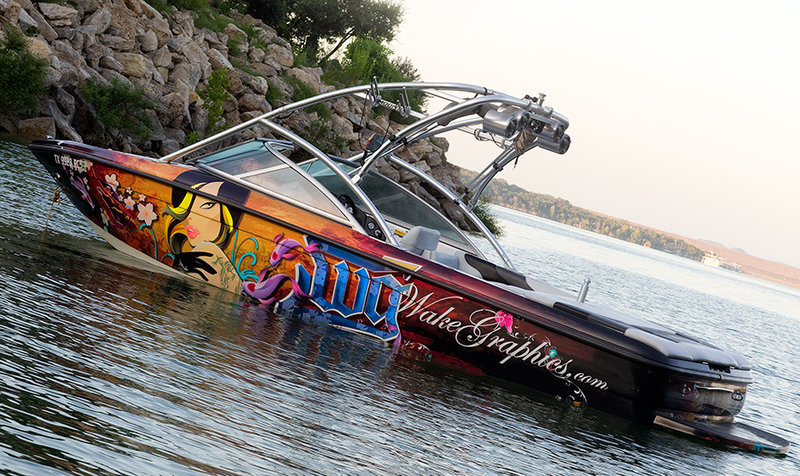 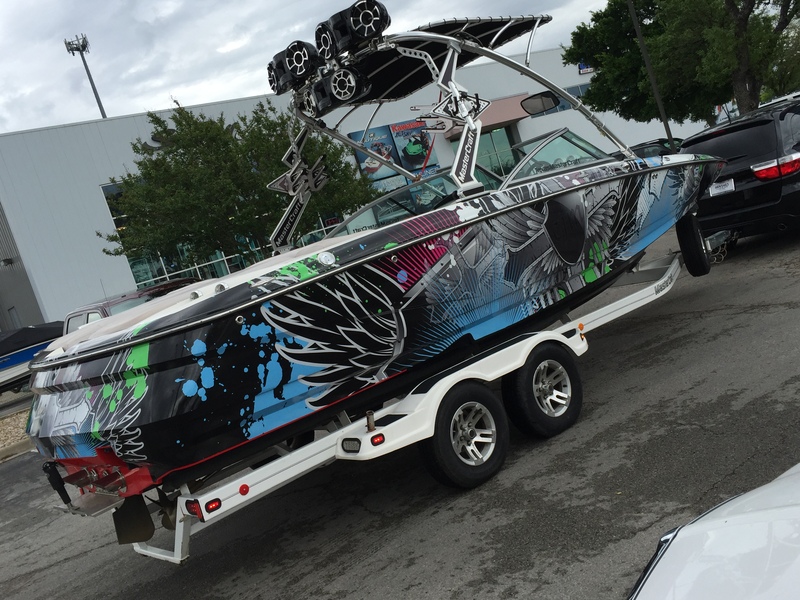 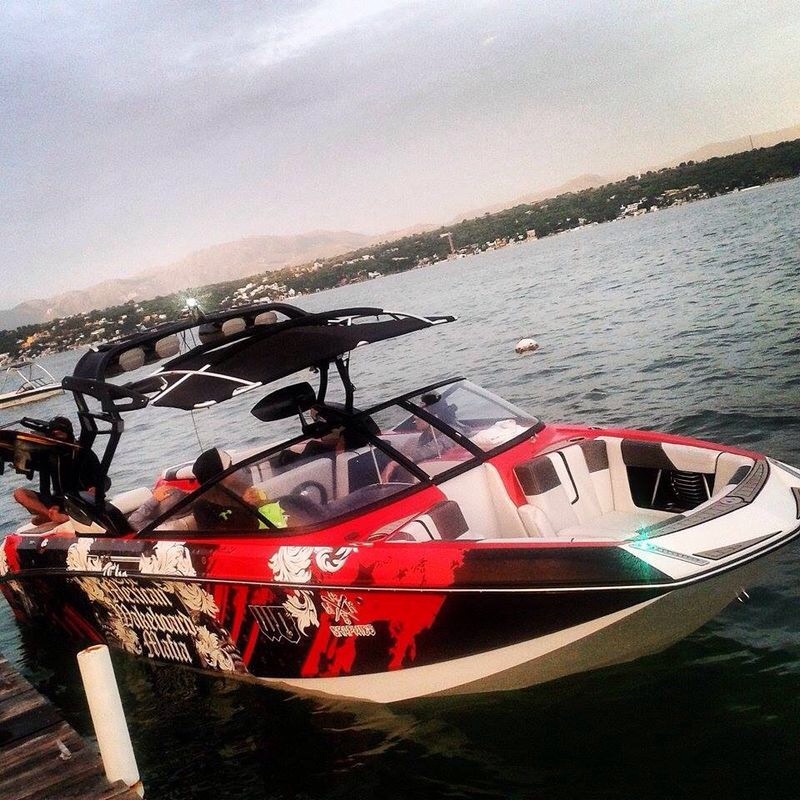 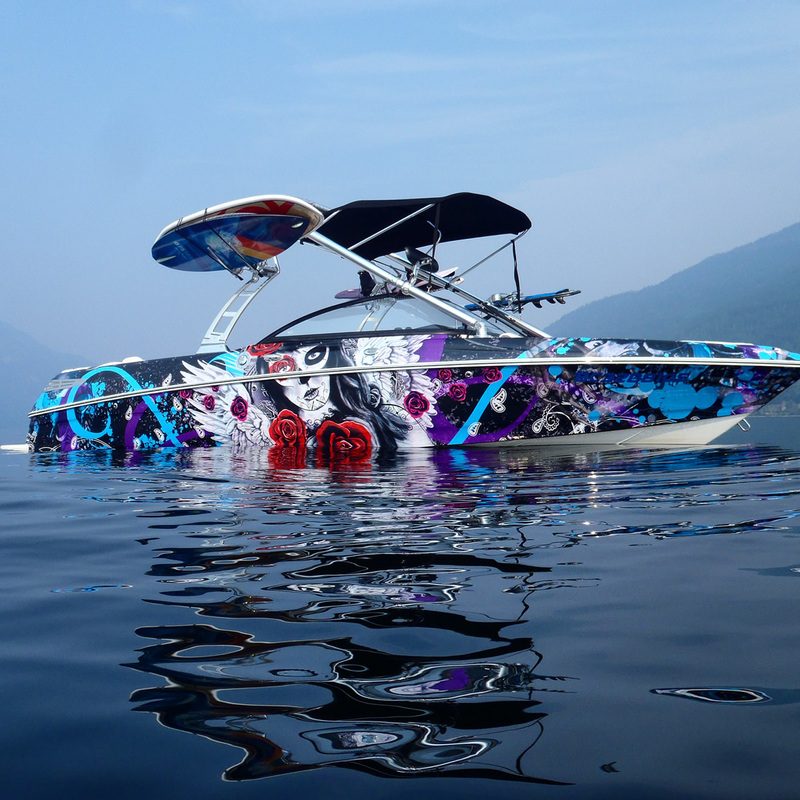 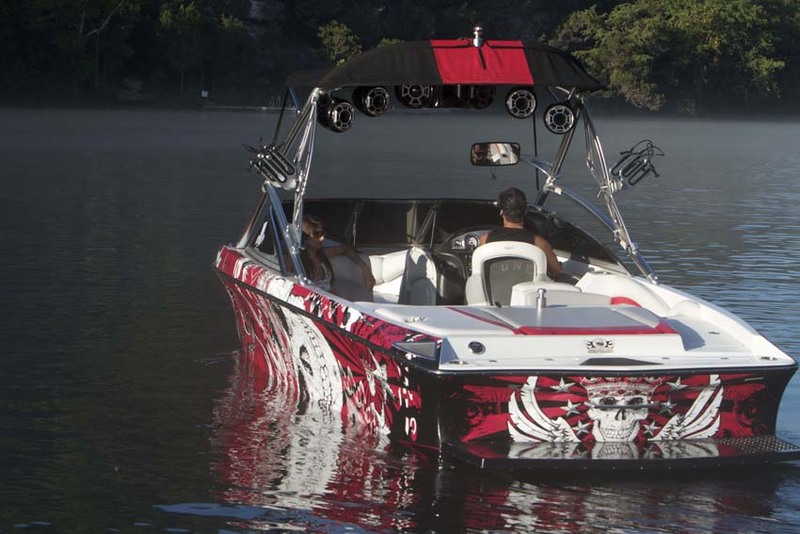 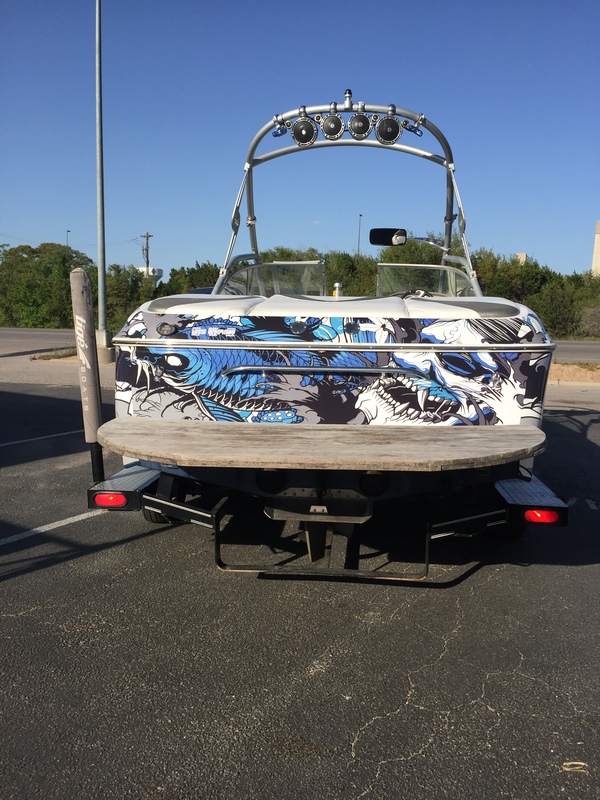 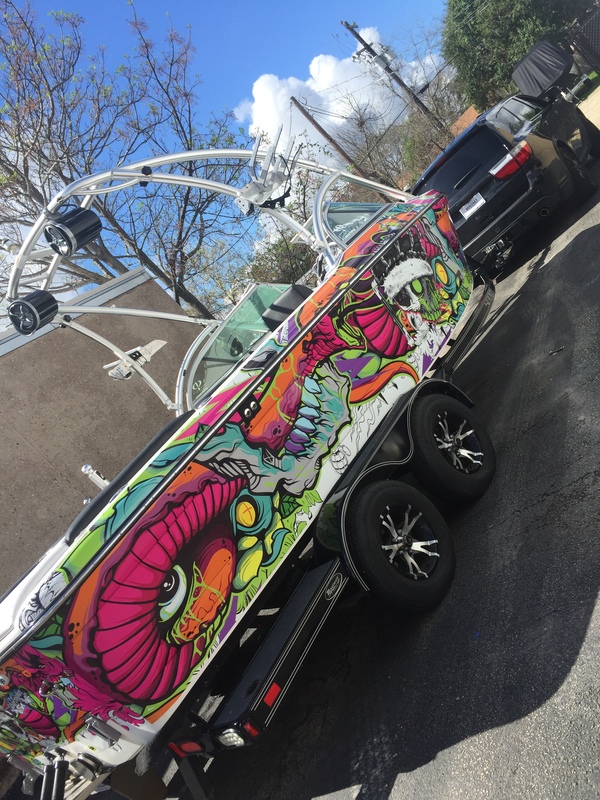 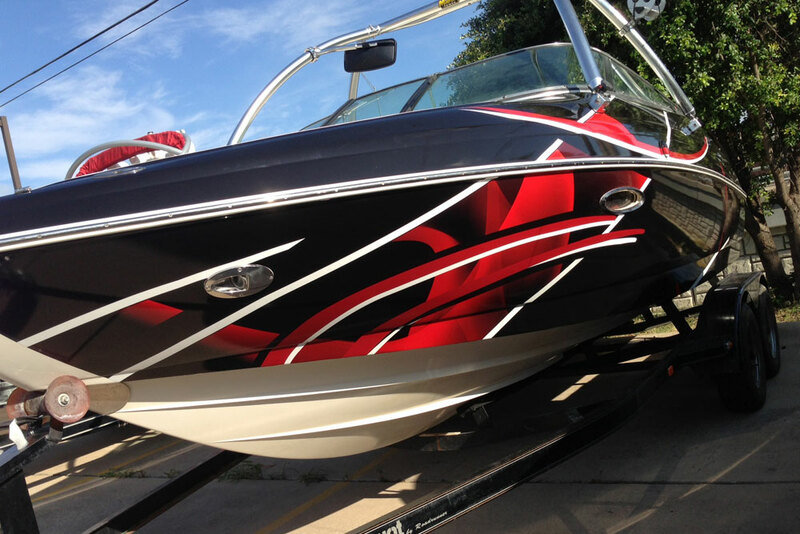 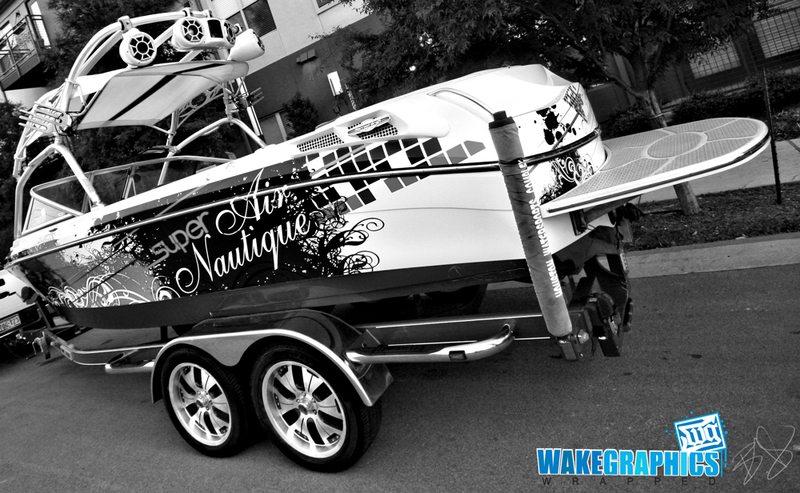 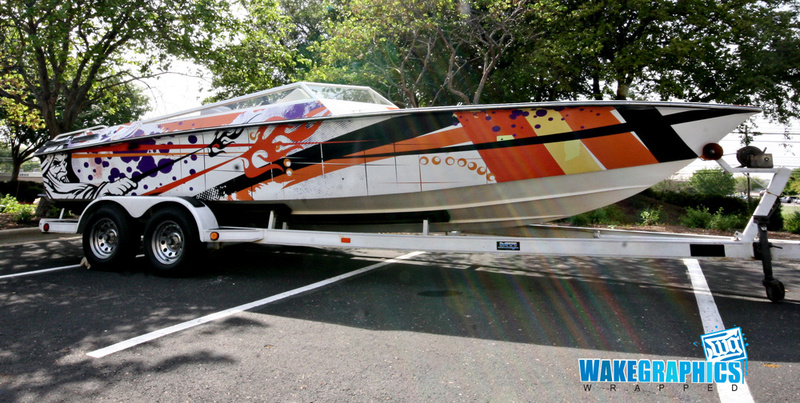 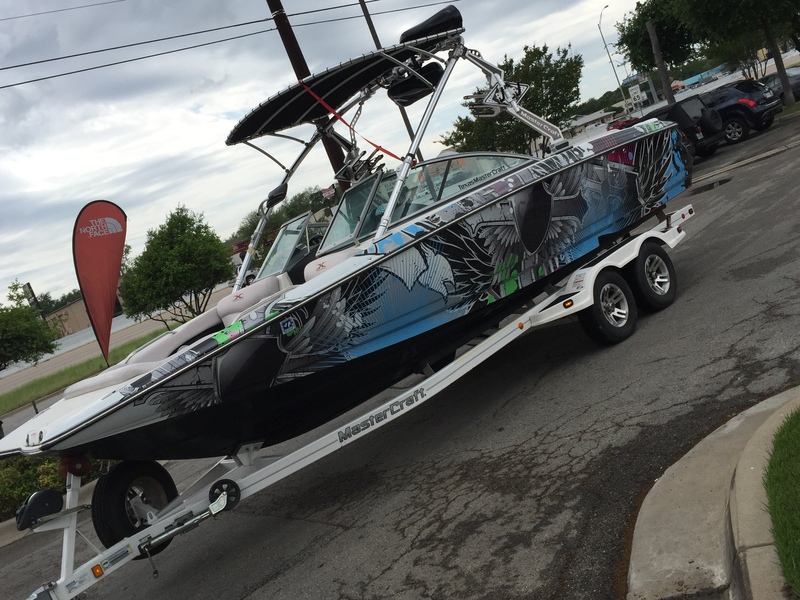 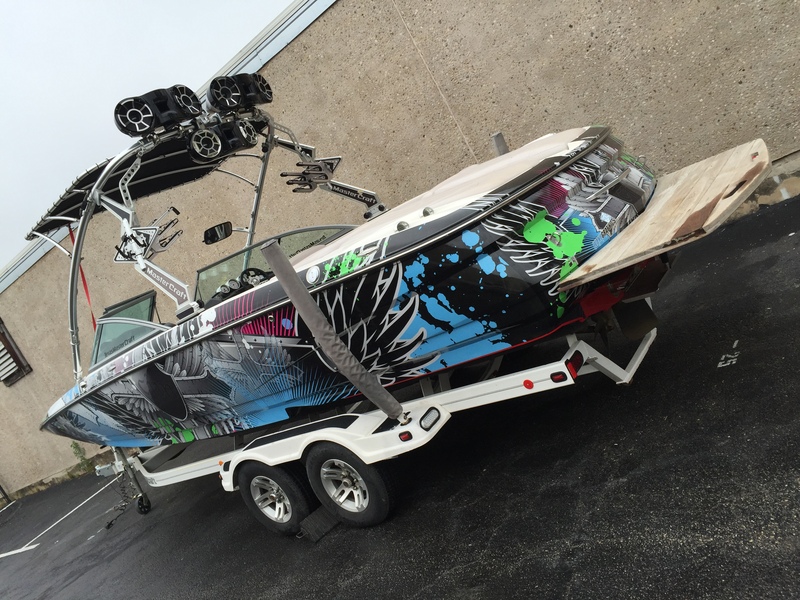 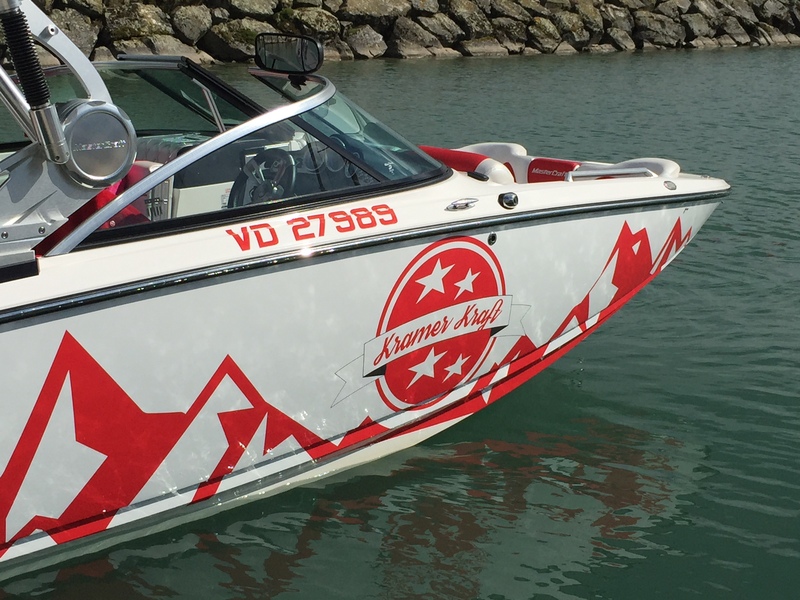 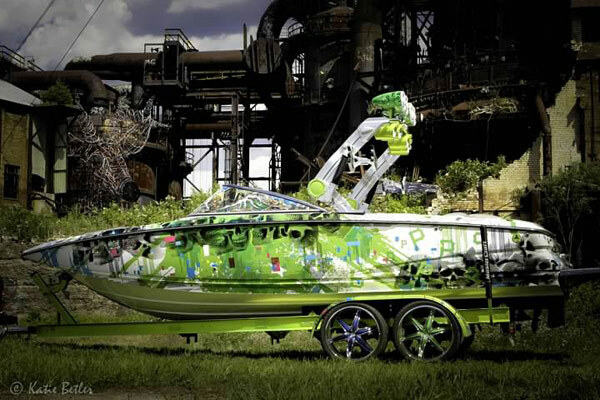 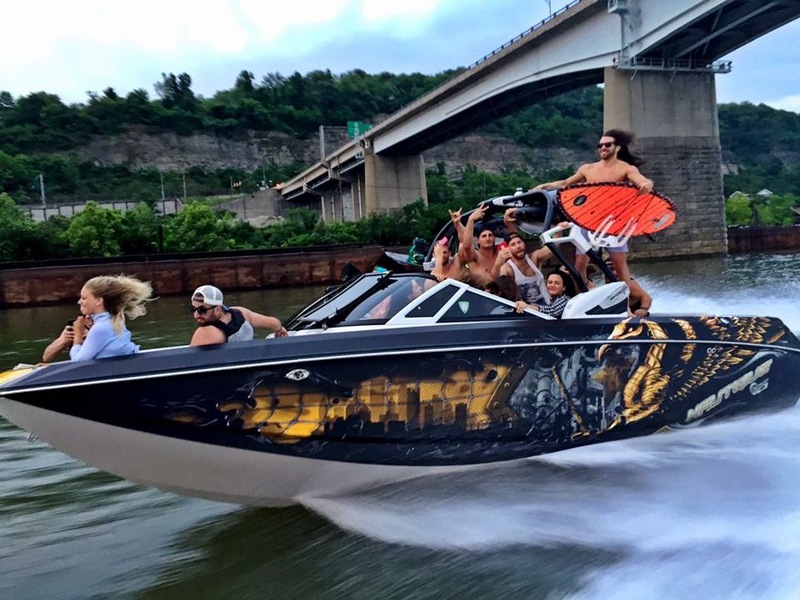 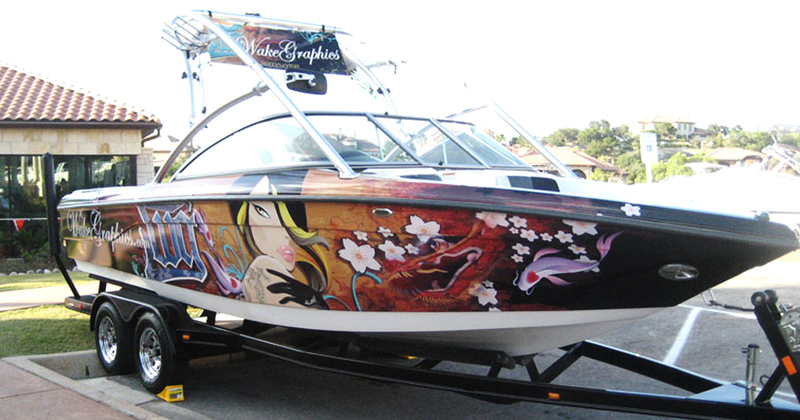 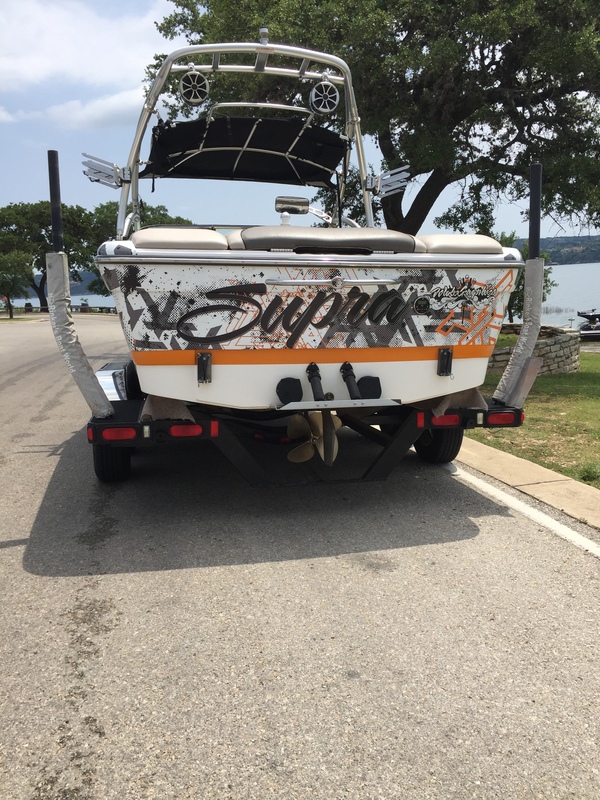 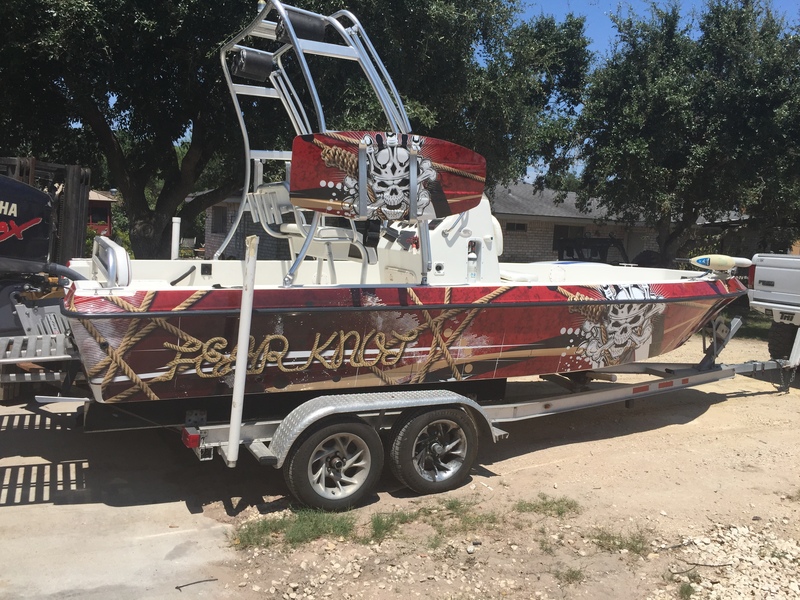 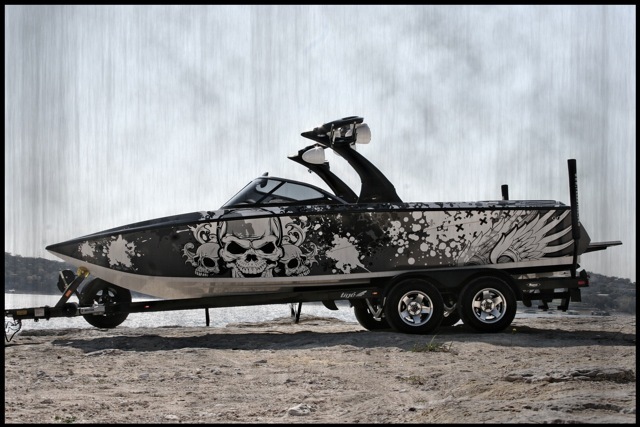 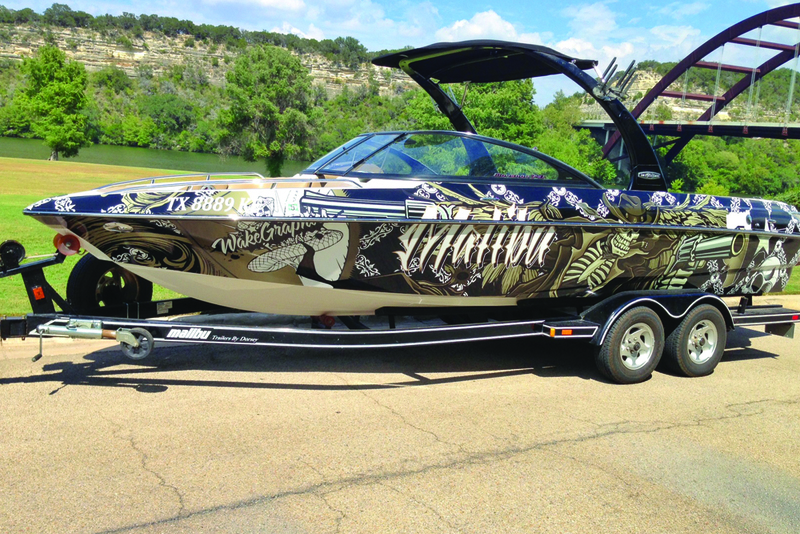 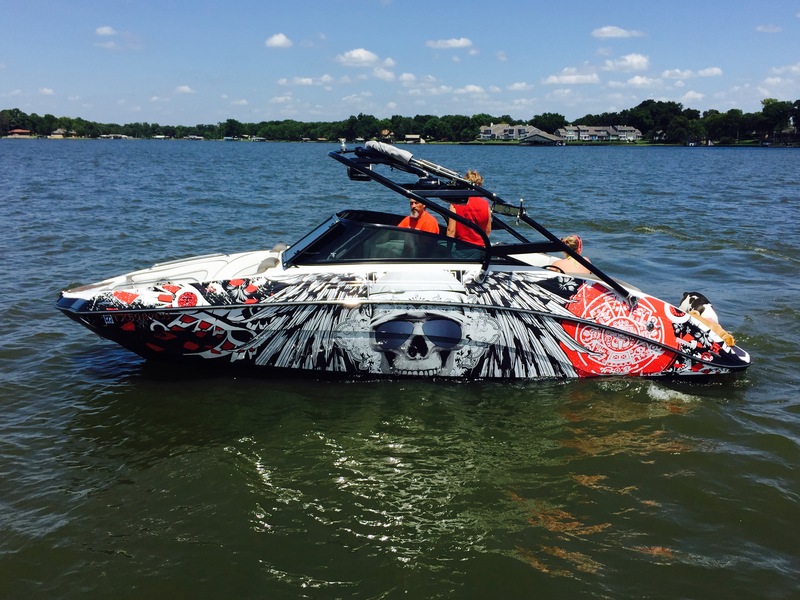 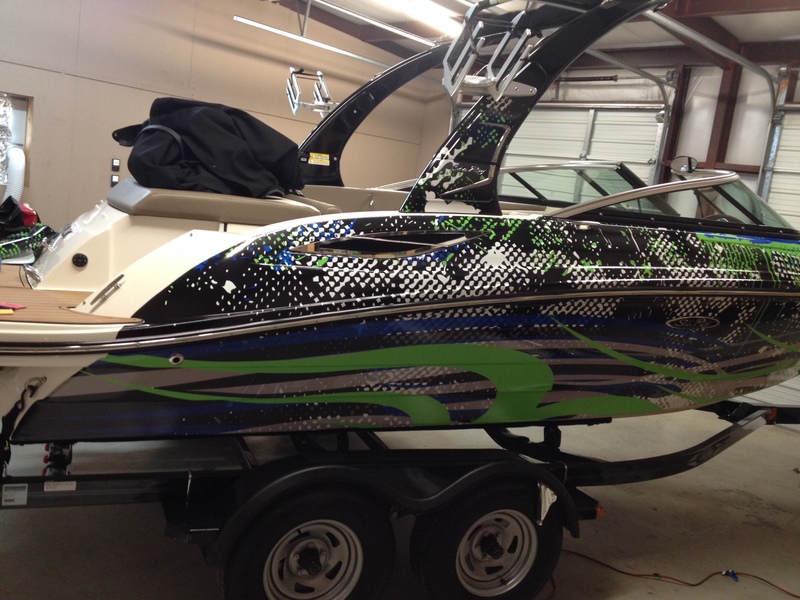 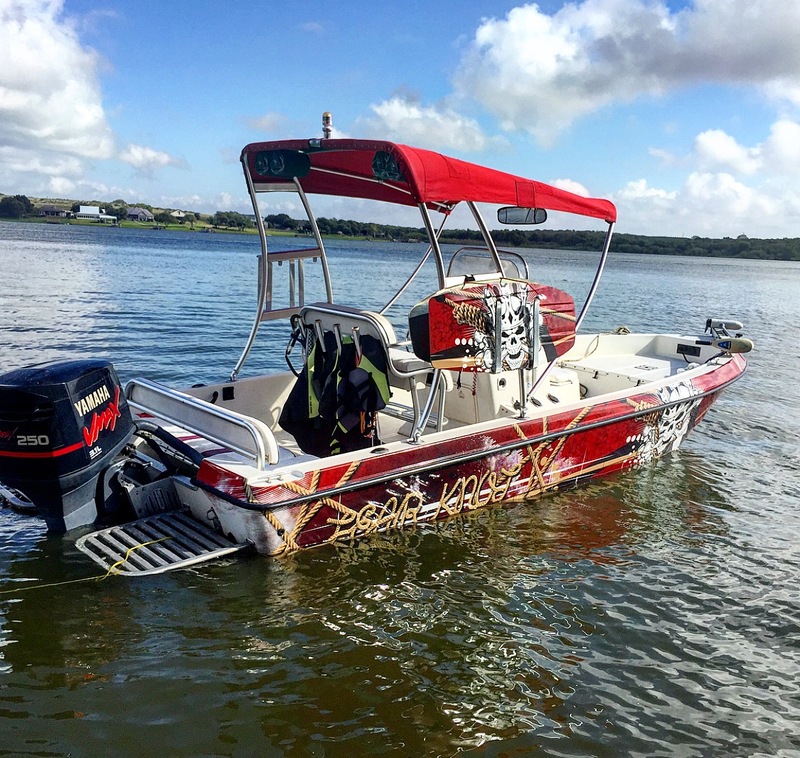 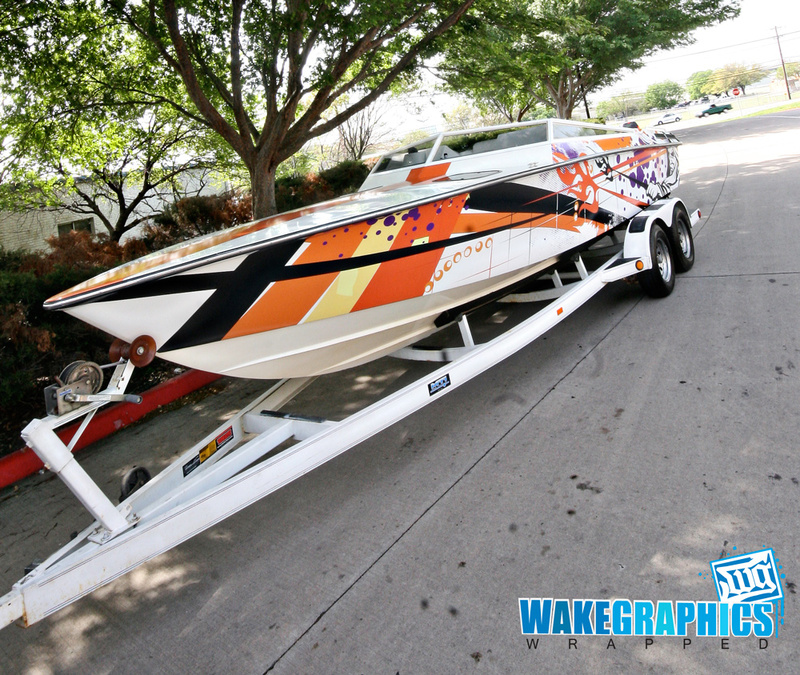 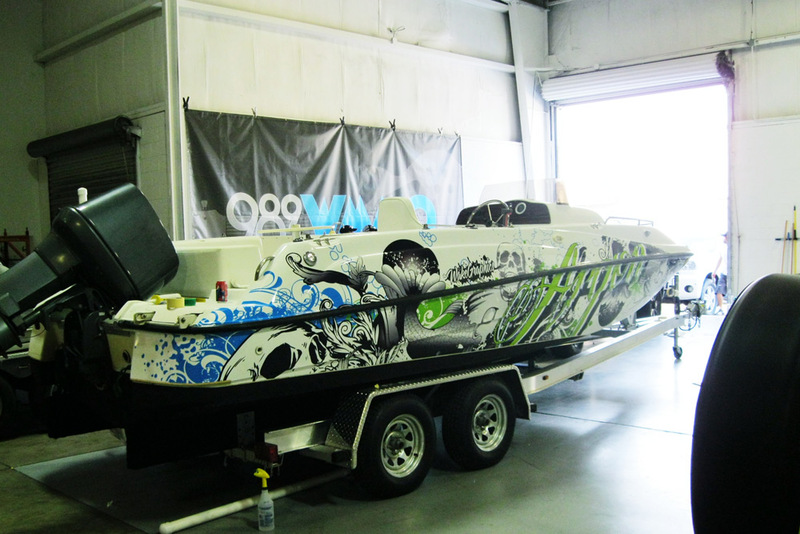 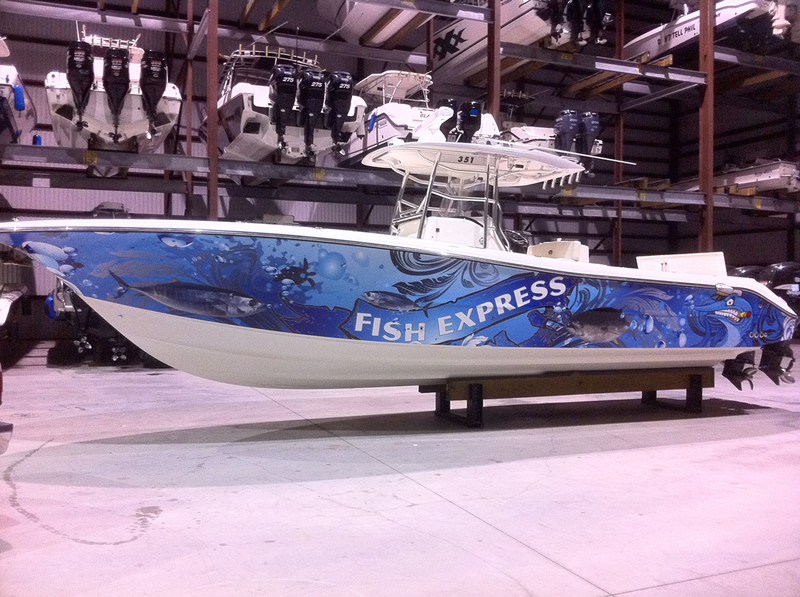 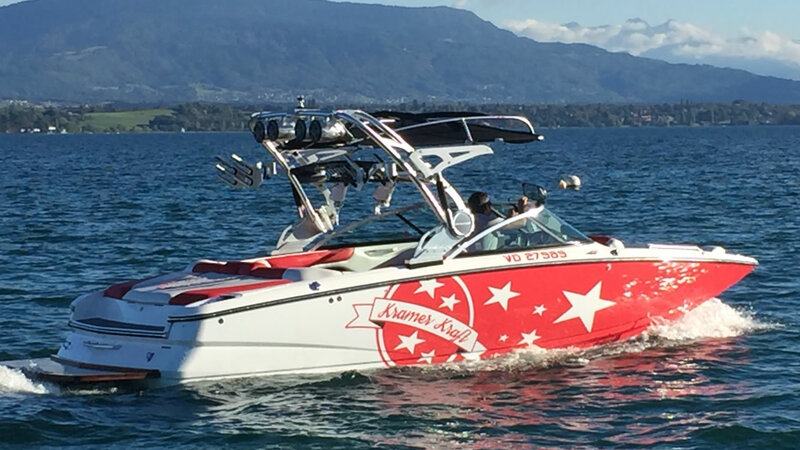 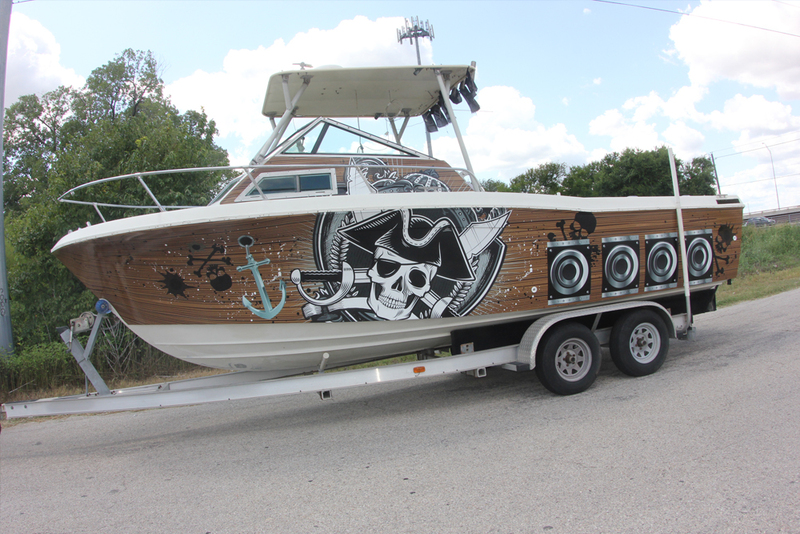 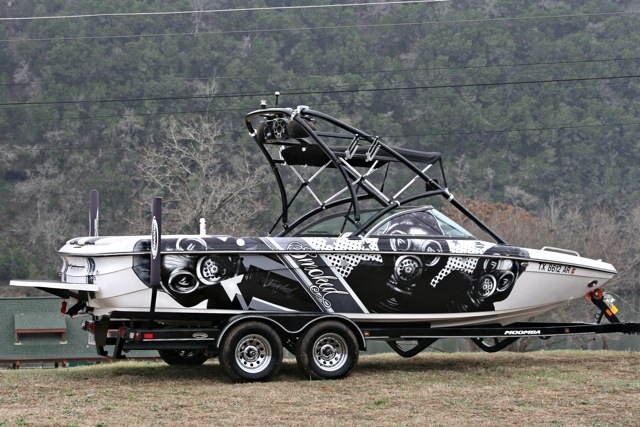 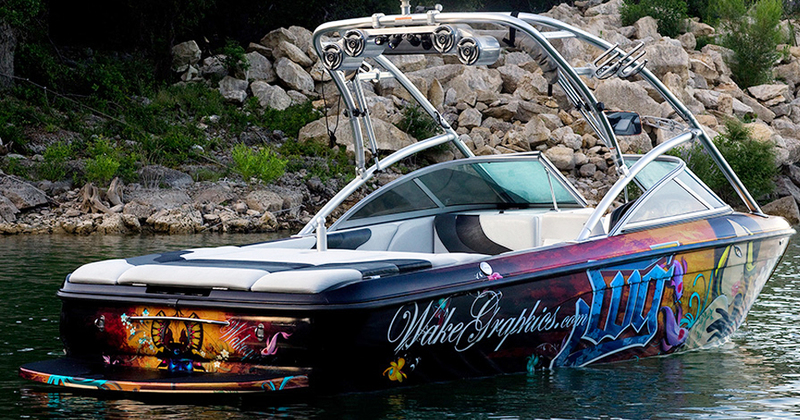 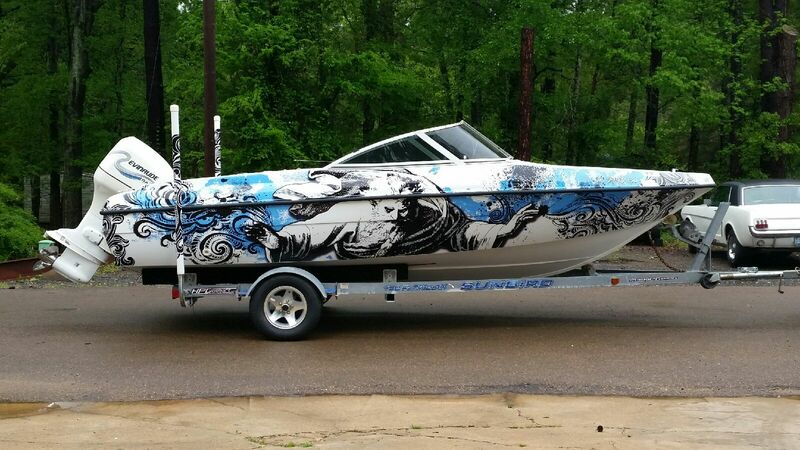 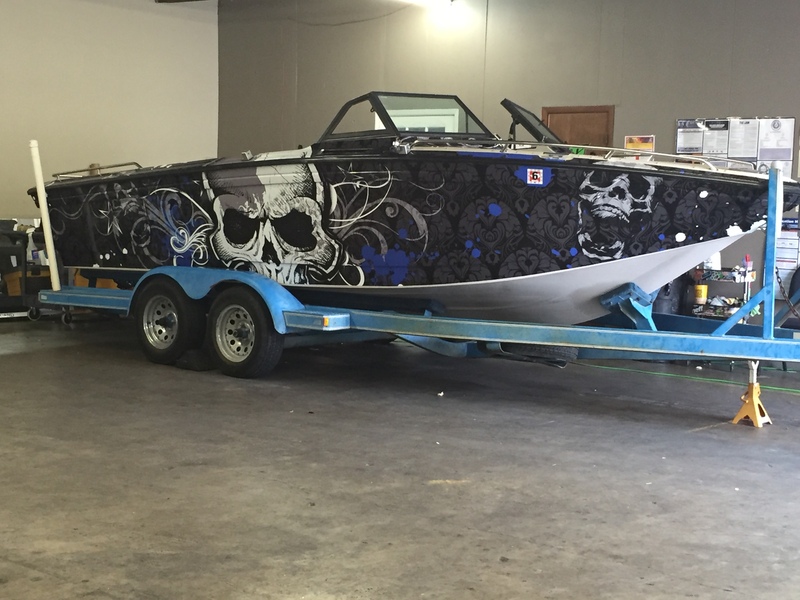 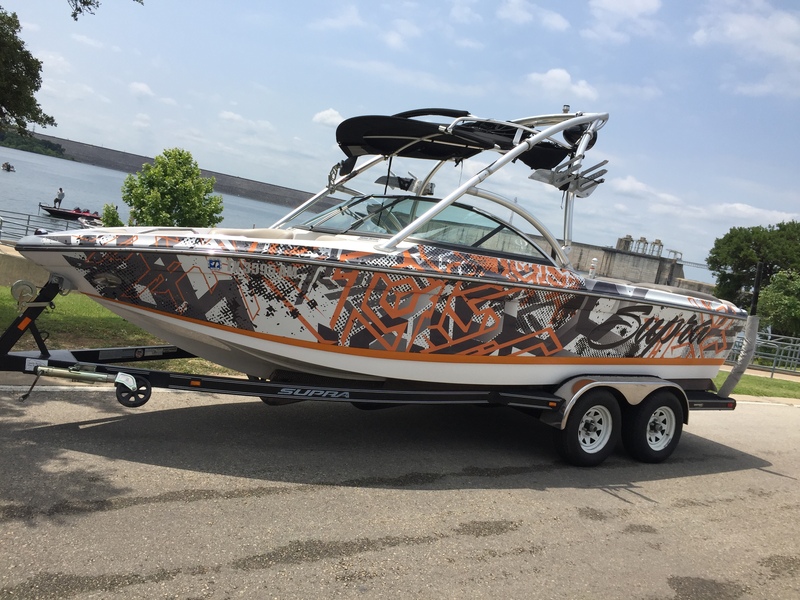 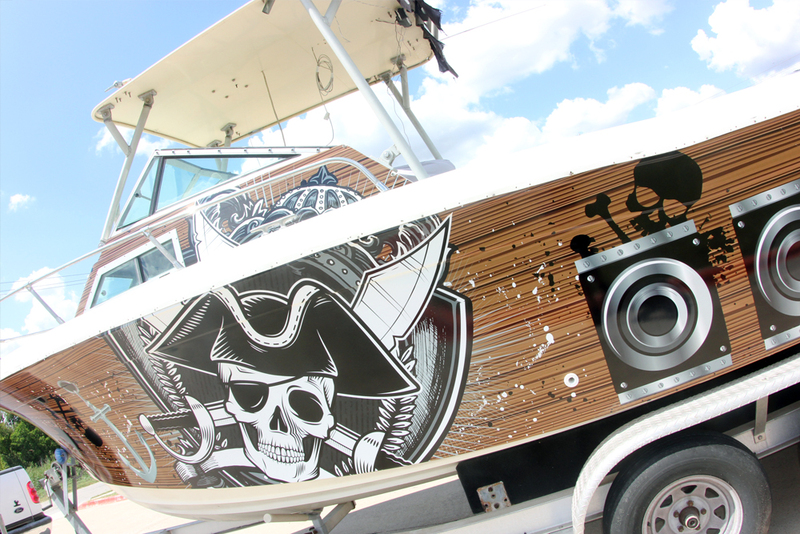 We’ve installed countless Boat Wraps for people who wants their boats to be unique or one of a kind. 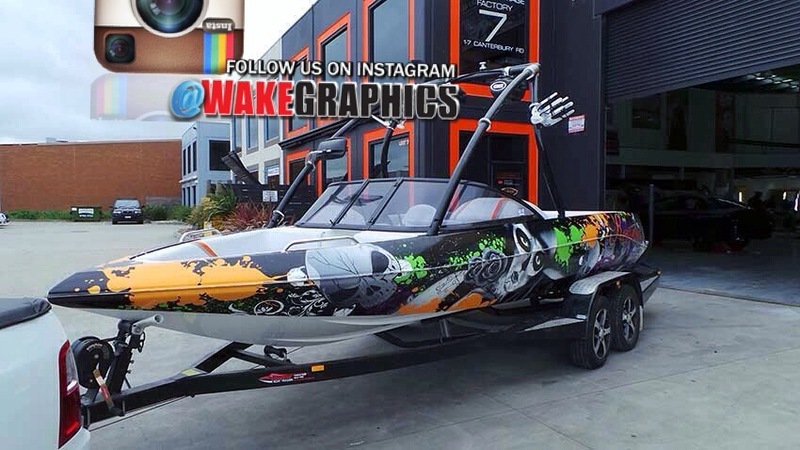 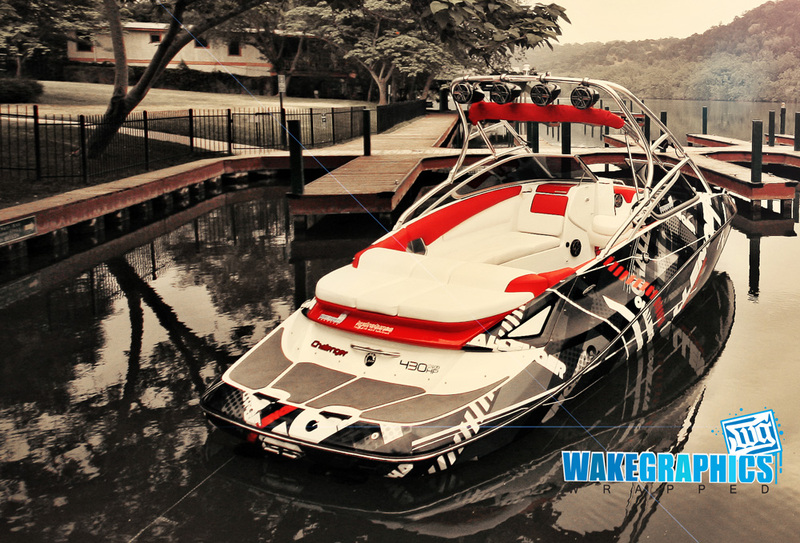 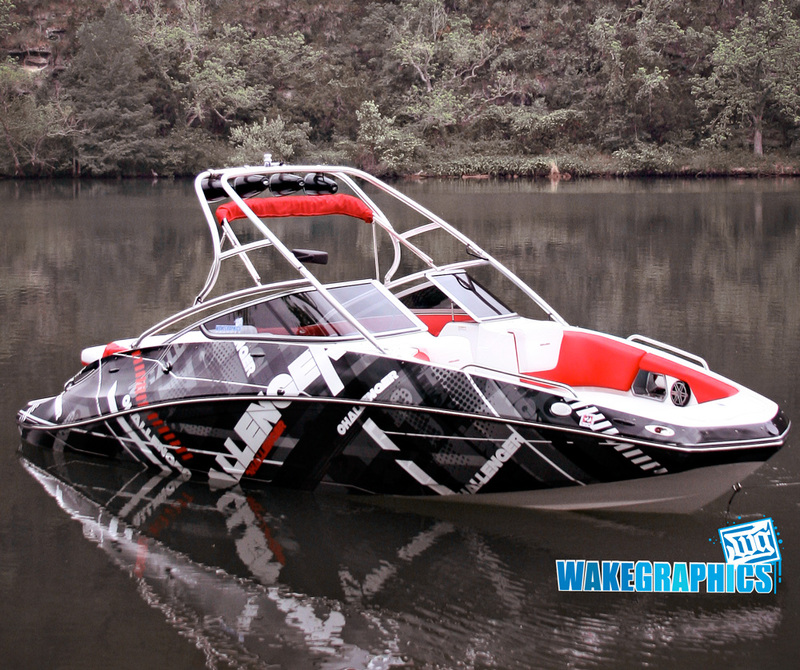 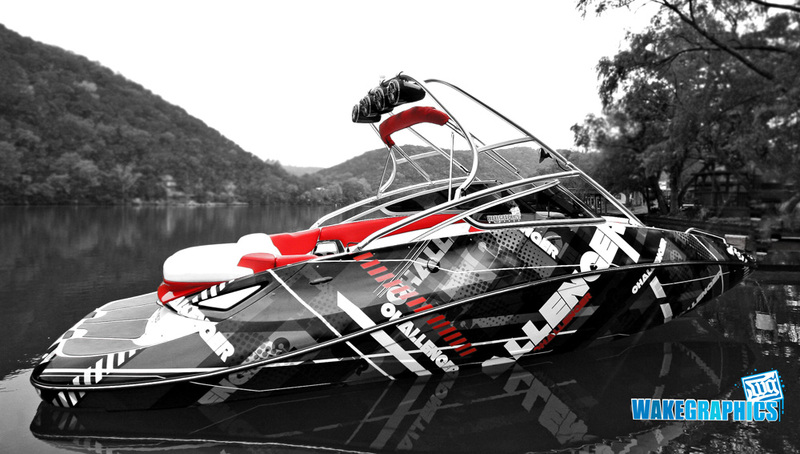 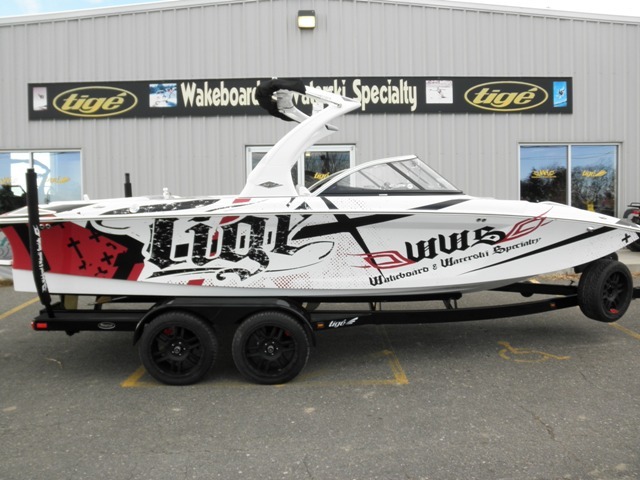 Wake Graphic can bring your wildest designs to reality at an affordable price. 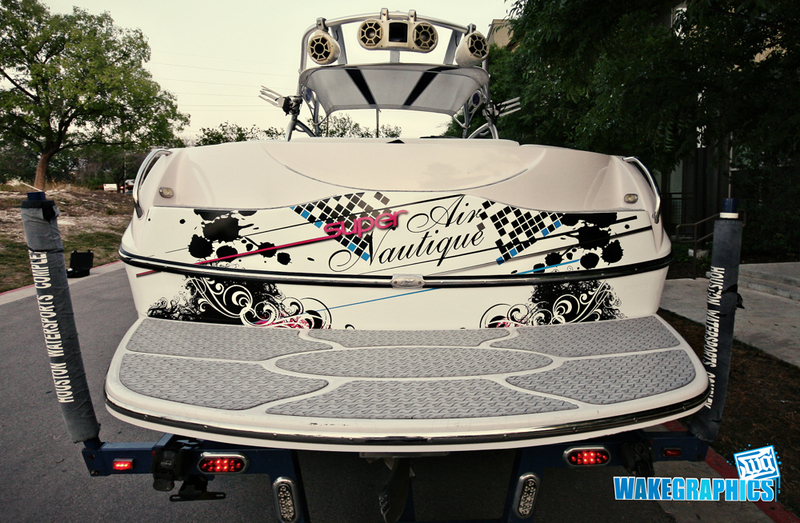 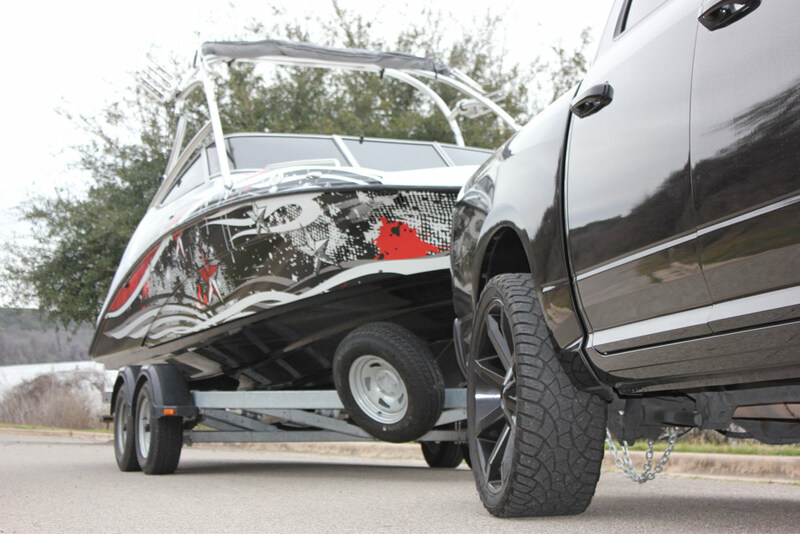 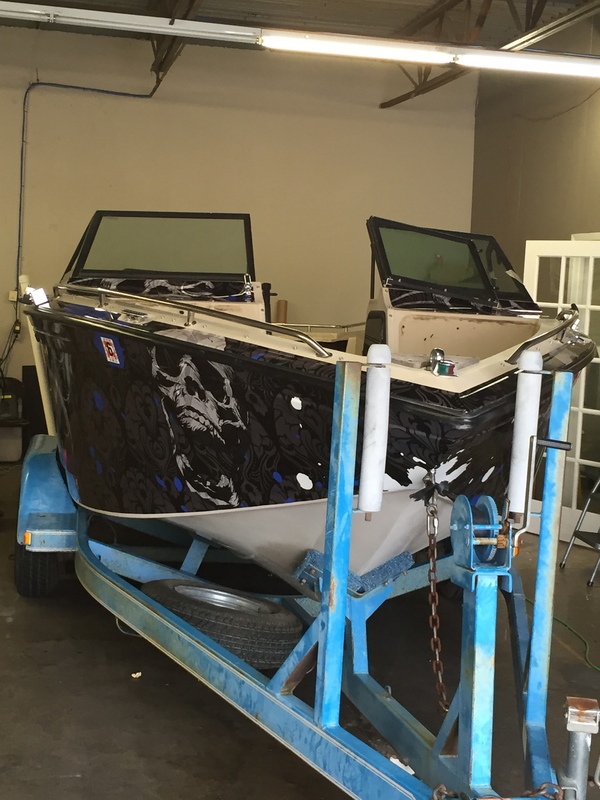 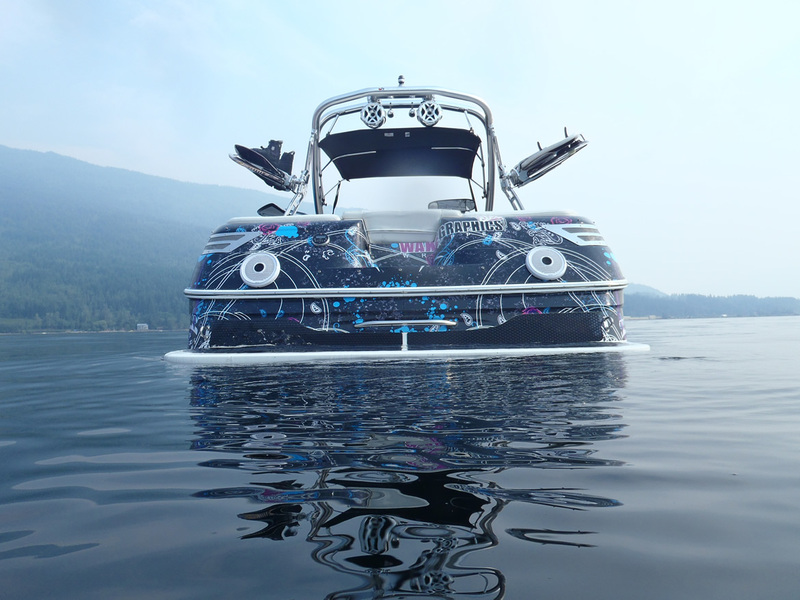 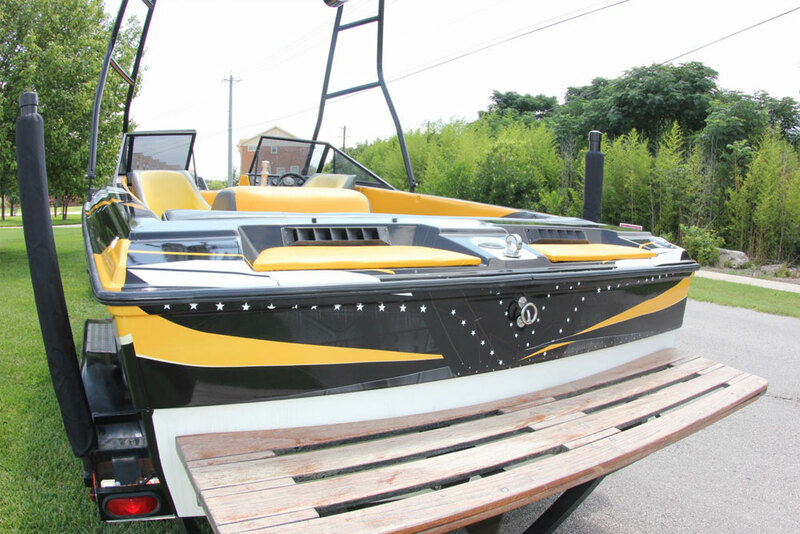 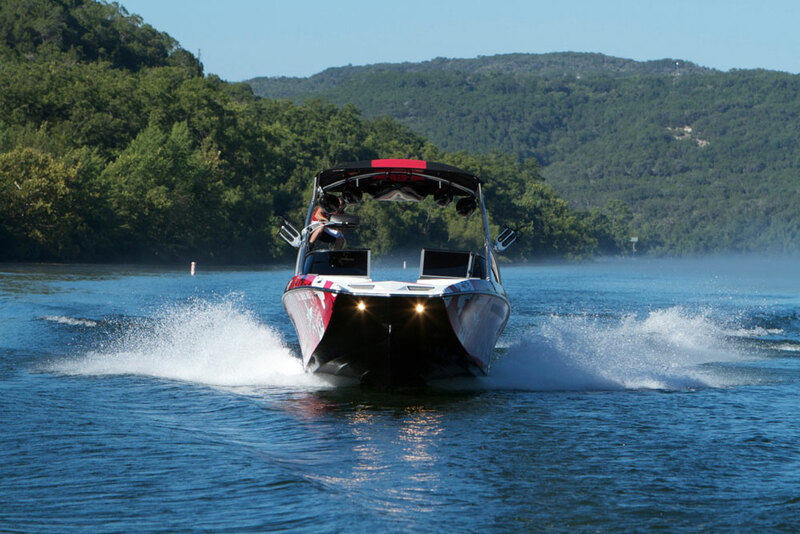 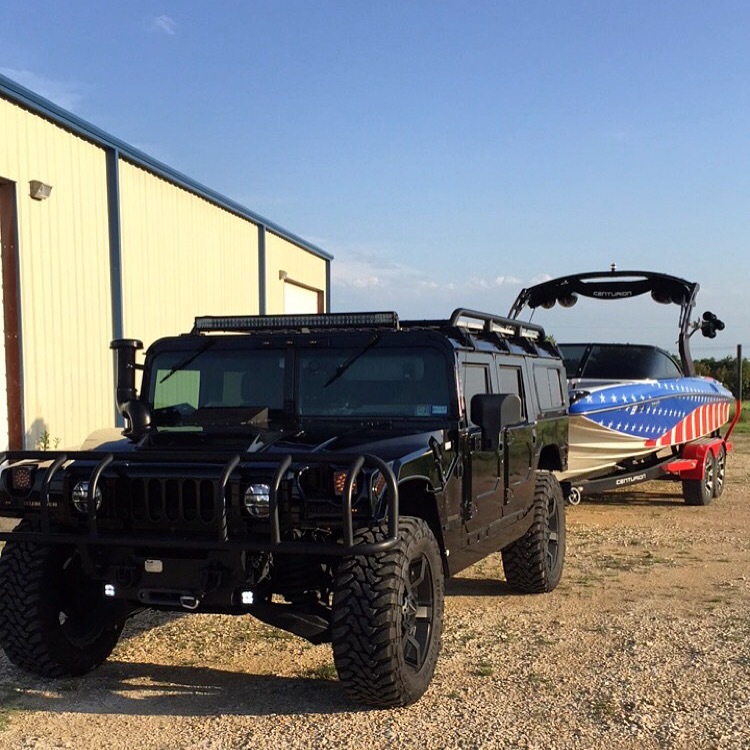 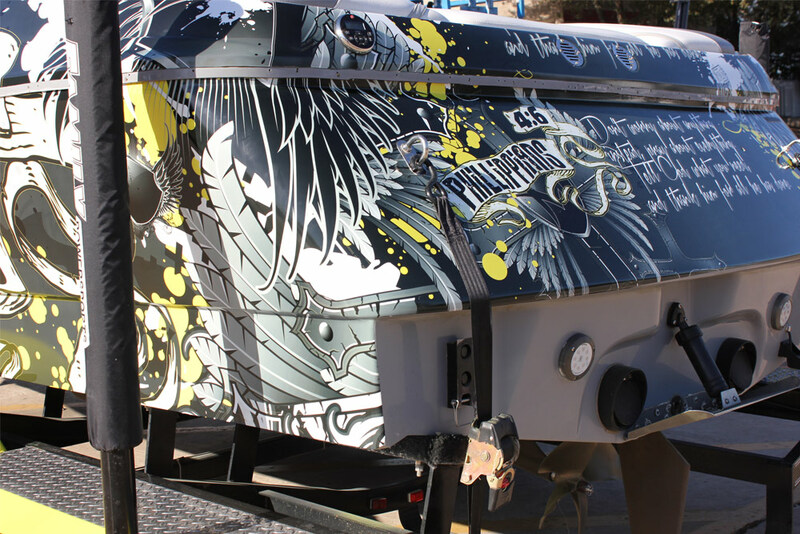 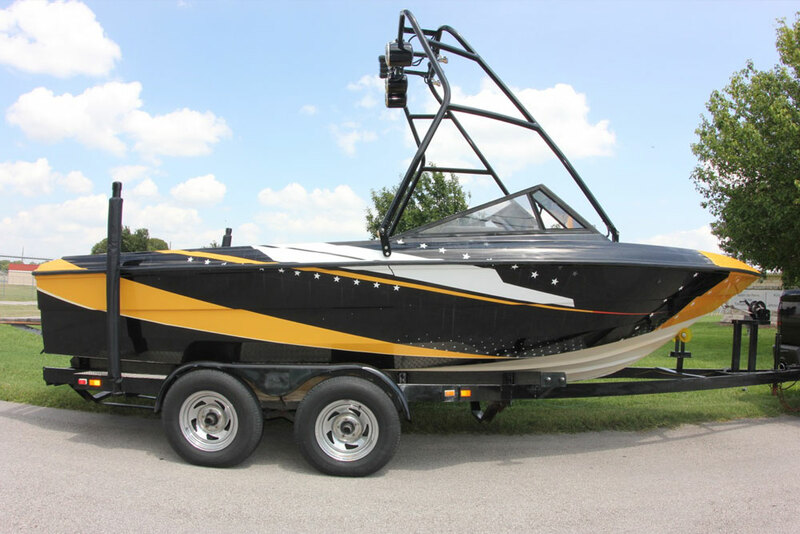 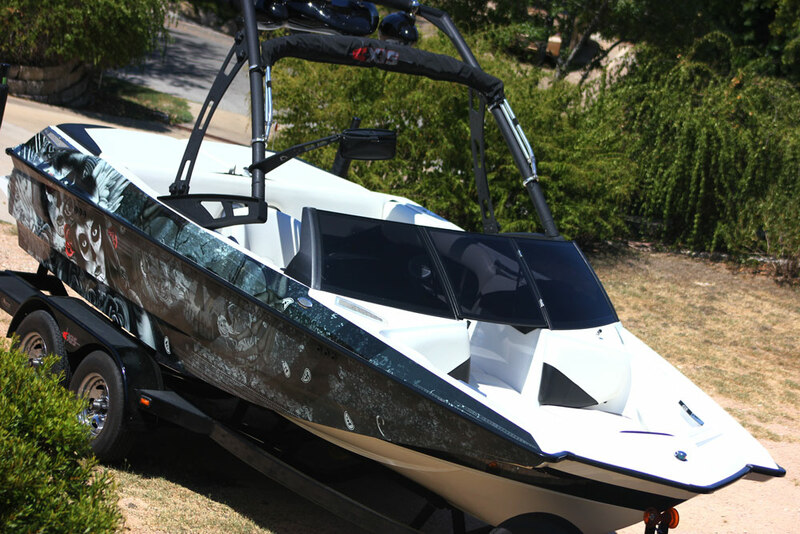 Every Vinyl Wrap is created and custom designed to perfectly fit your boat resulting to a durable, unique outer coating that is truly made for your boat. 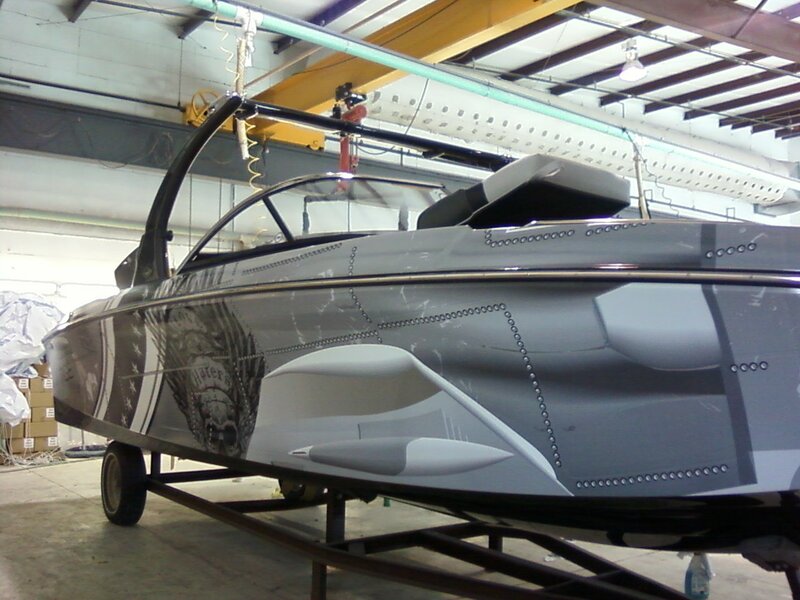 Our trained professionals are constantly working on how to improve our designs and its application. 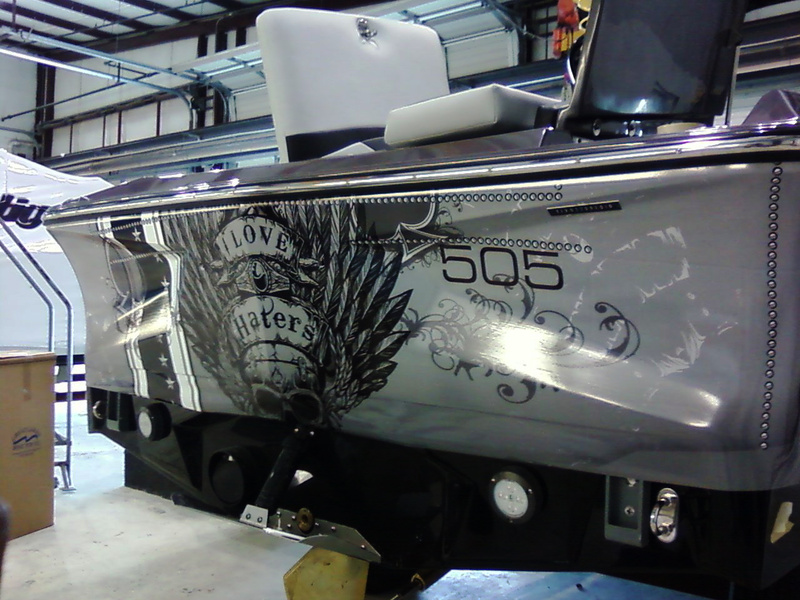 This is to ensure a quality outcome and eye catching designs. 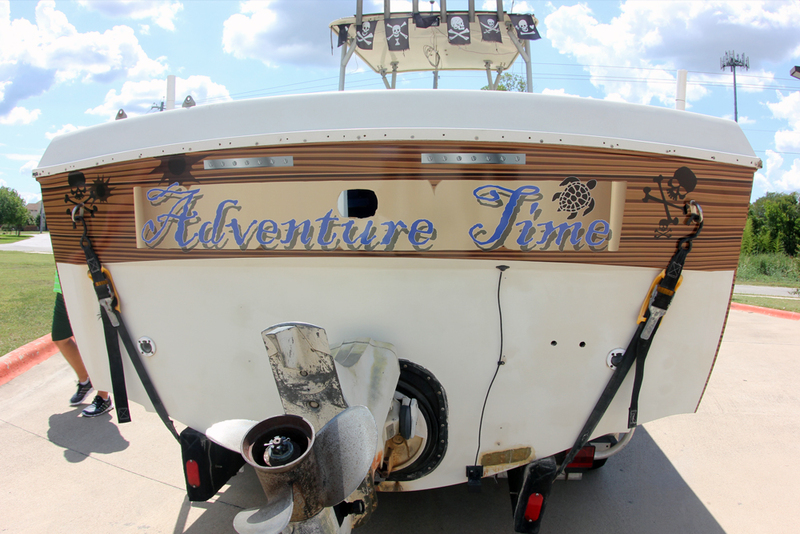 They only cost a fraction of a professional paint job and an amazing alternative to marine paint. 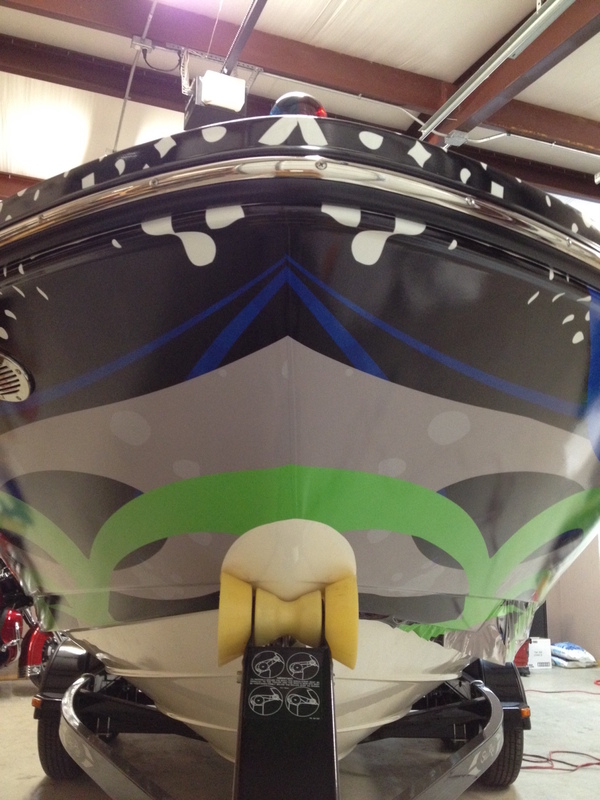 Boat wraps can be done in just a day or two! 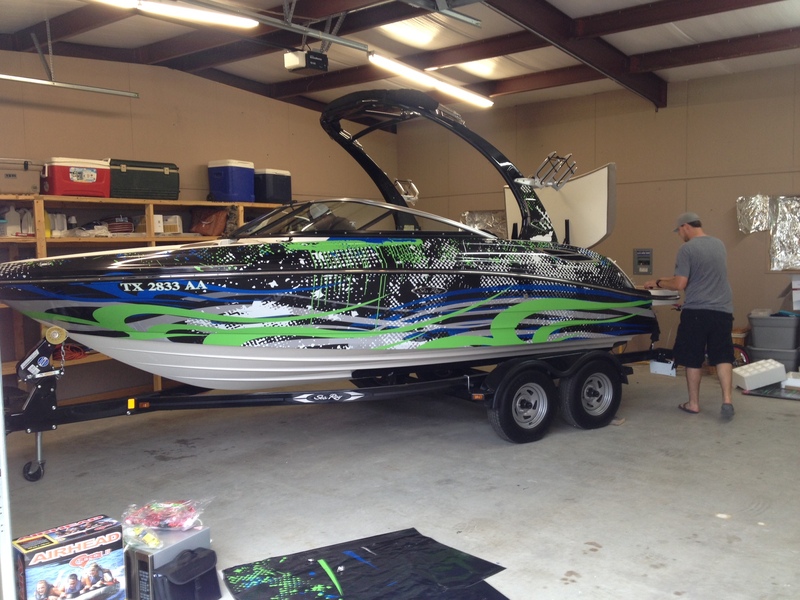 A boat wrap is extremely easy to maintain. 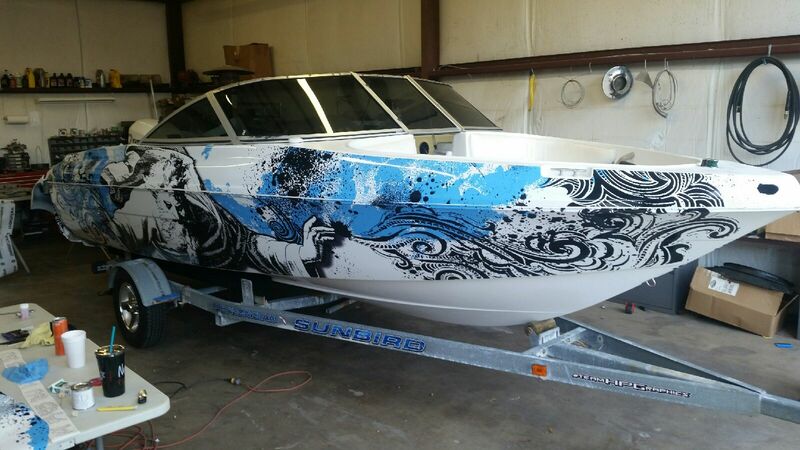 You are just going to need soap and water to make it look like brand new. 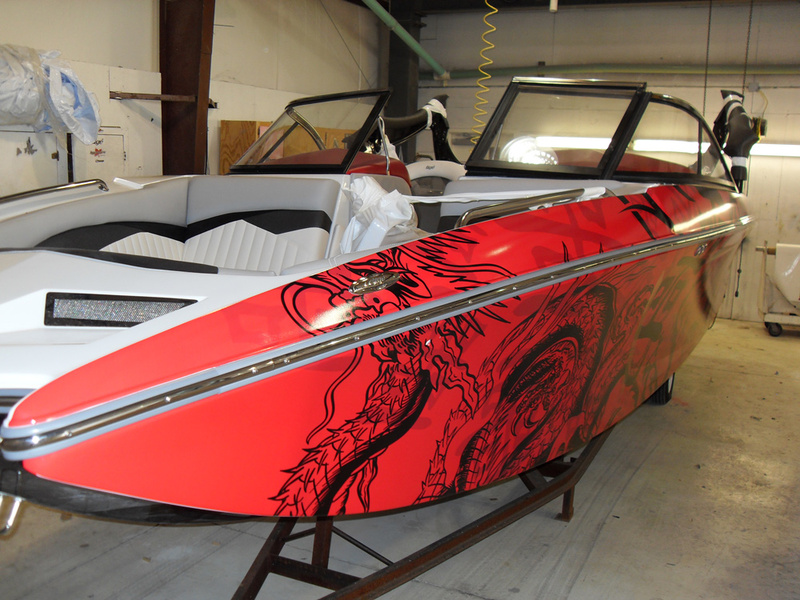 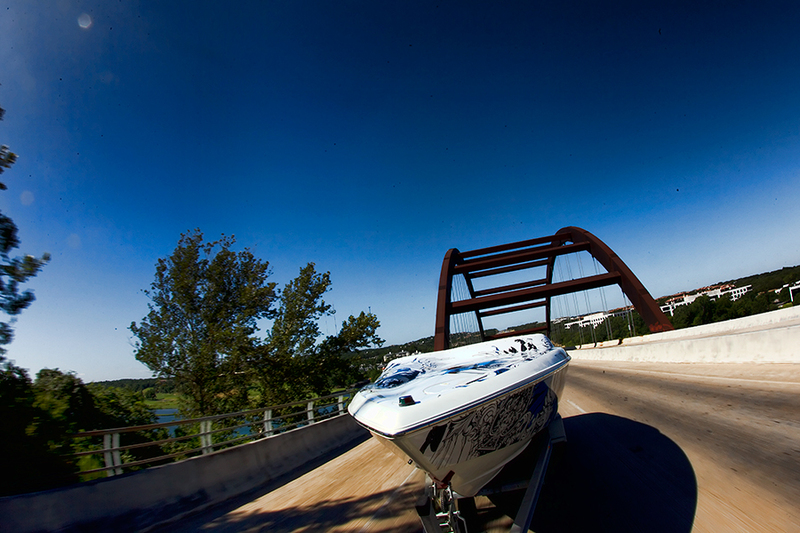 If properly installed, a boat wrap can last up to 5 years! 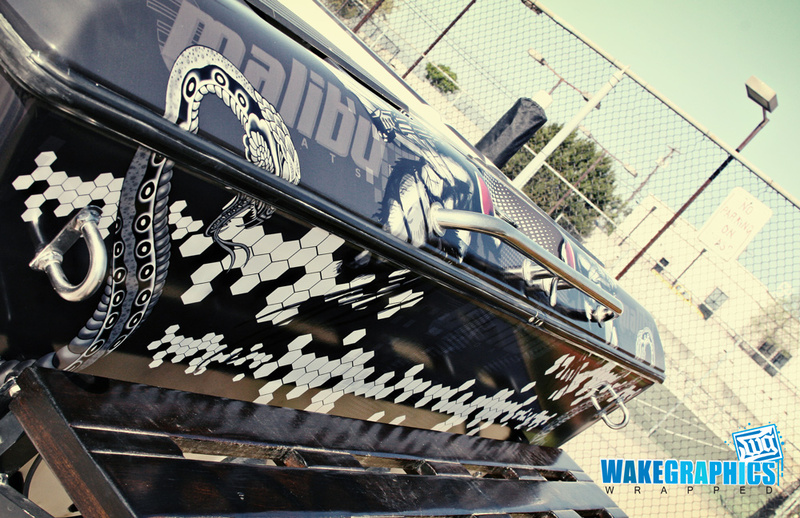 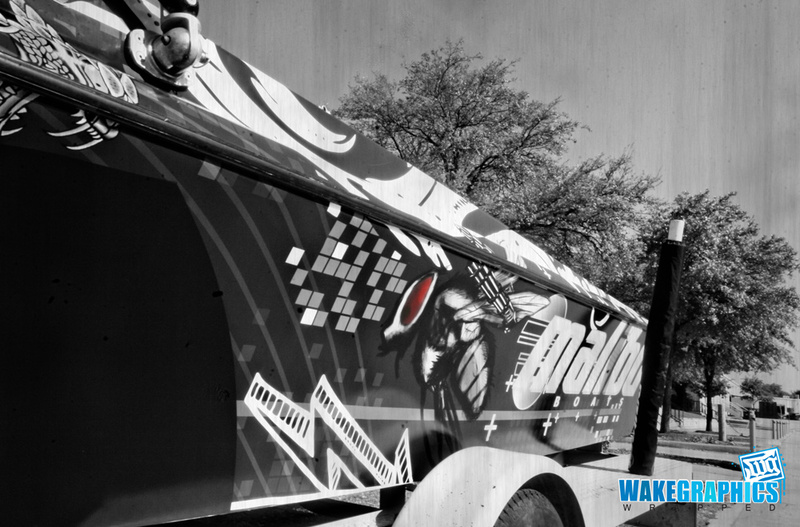 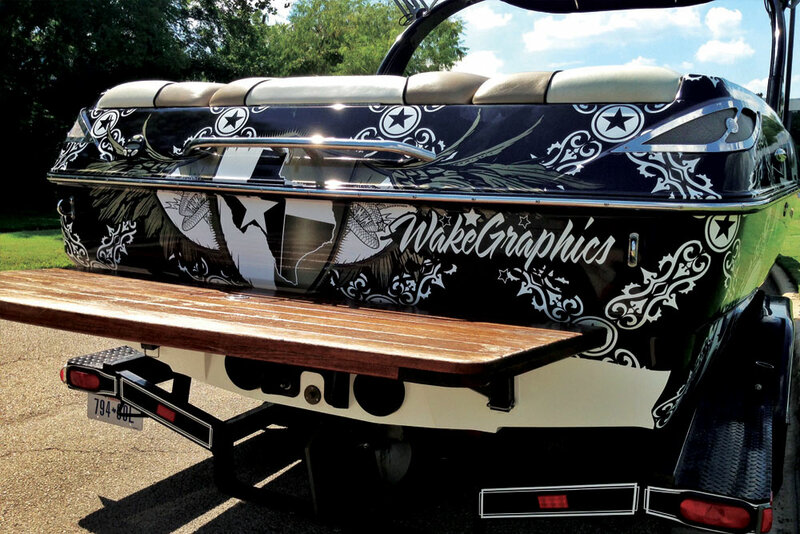 Wake graphics can design and print anything so let your imagination run wild! 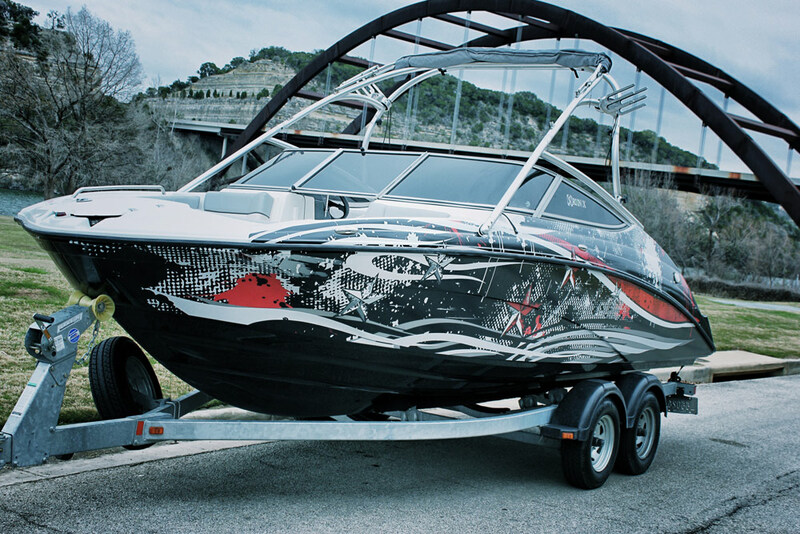 If a boat wrap get scratched, there’s no need to fix the whole area where it is scratched. 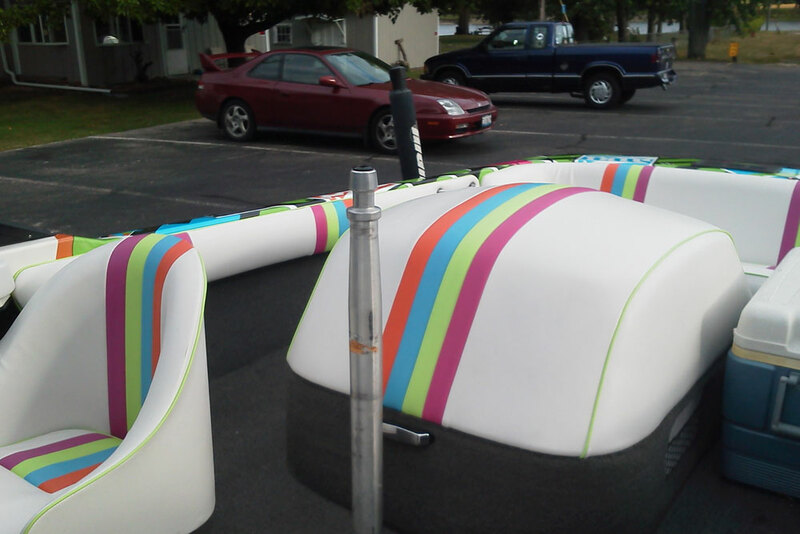 All repairs can be done with the use of a simple patch. 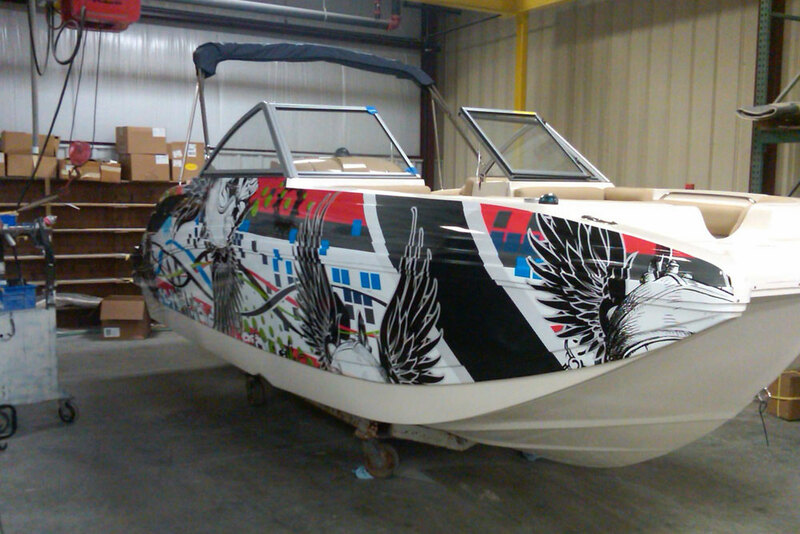 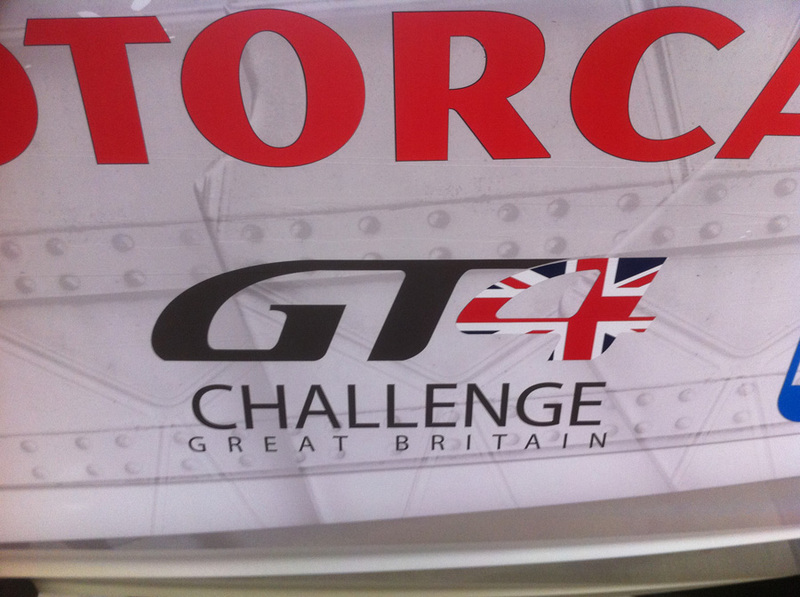 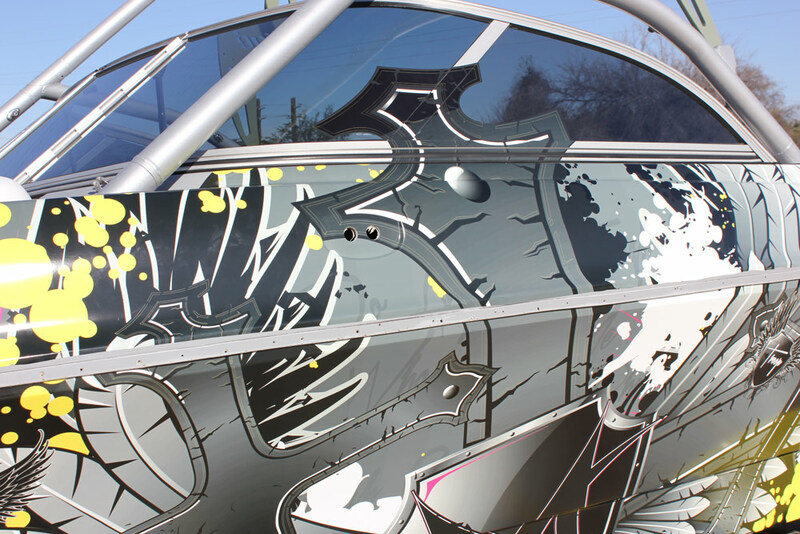 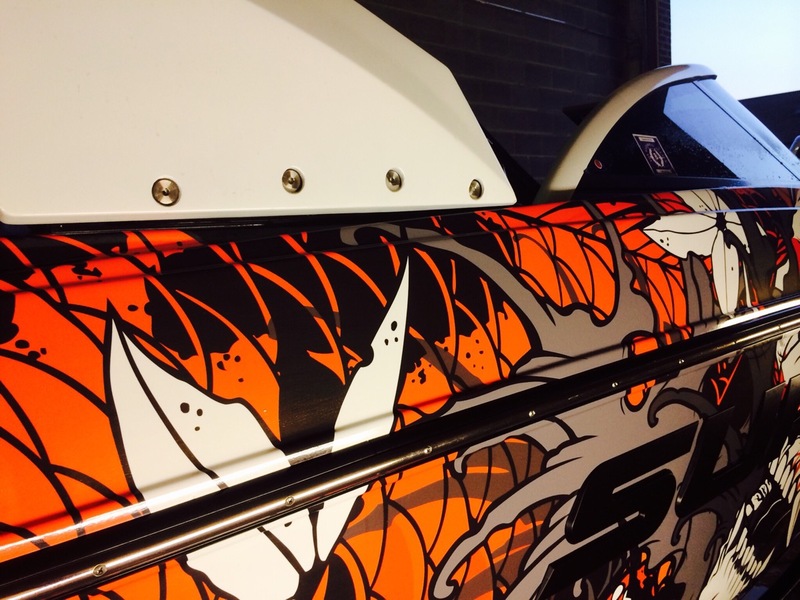 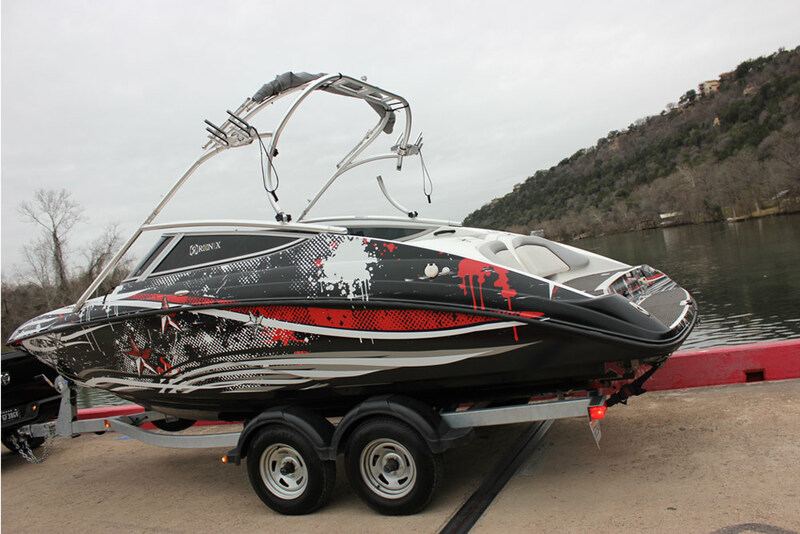 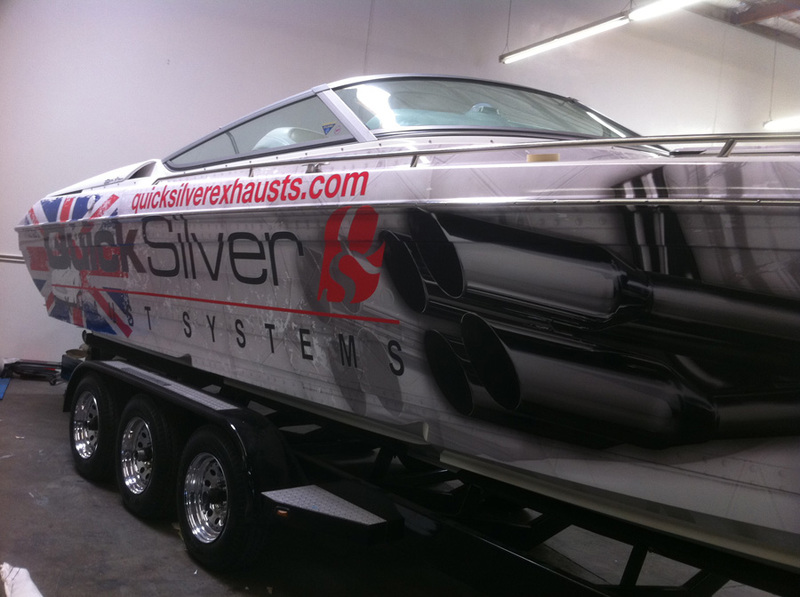 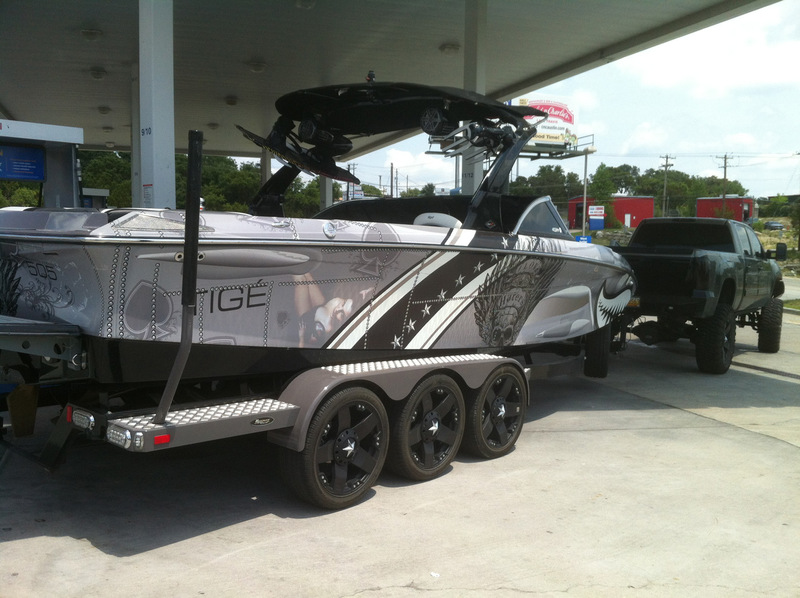 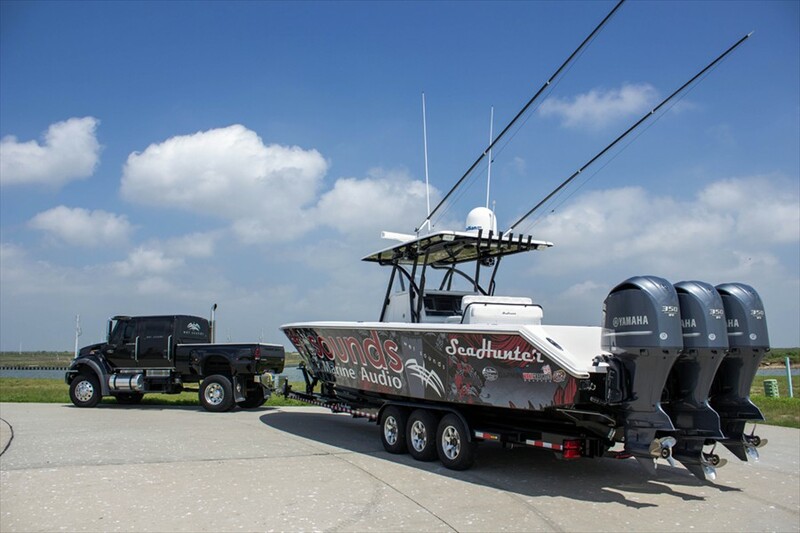 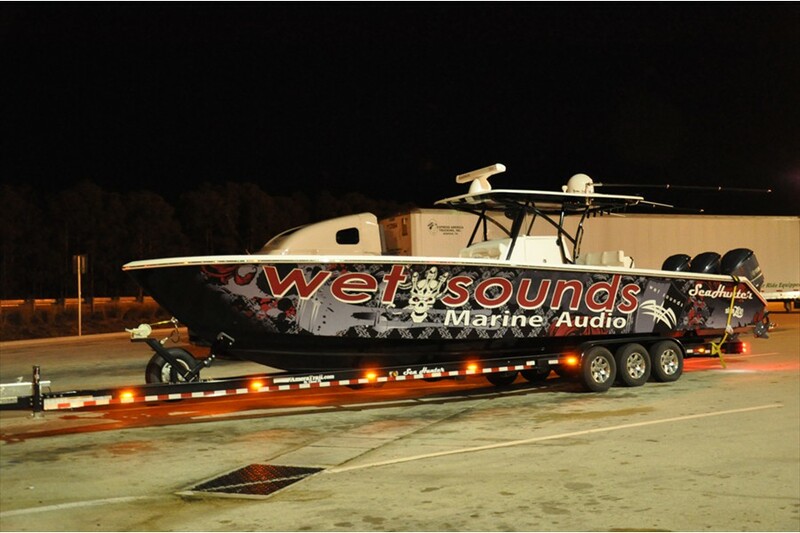 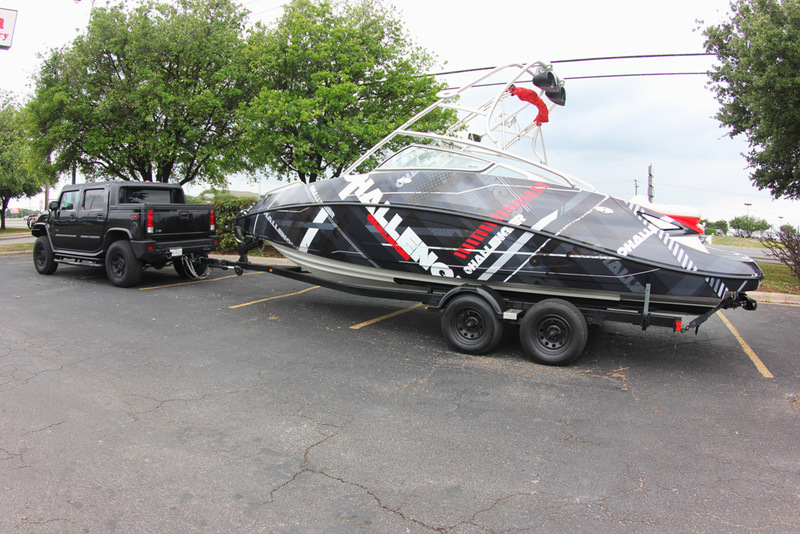 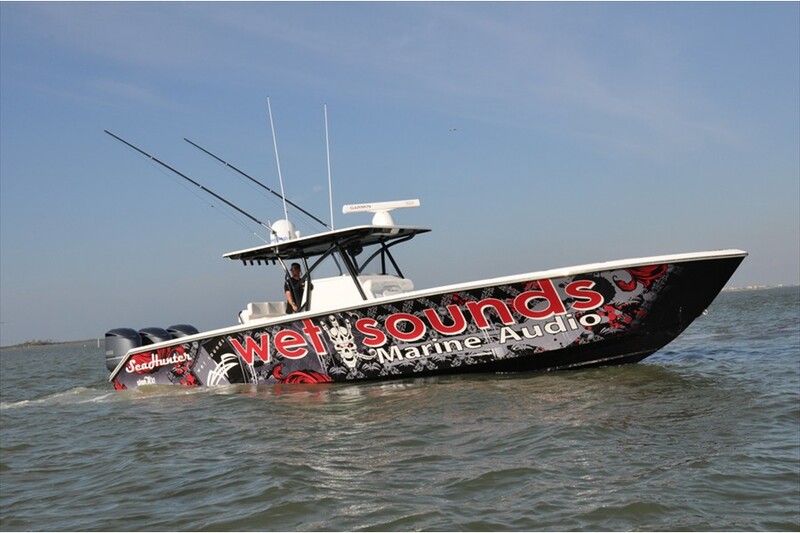 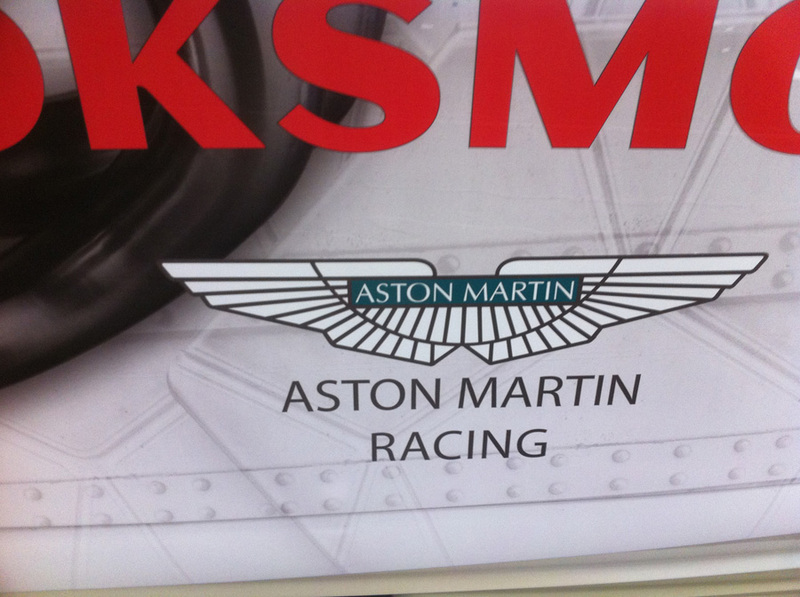 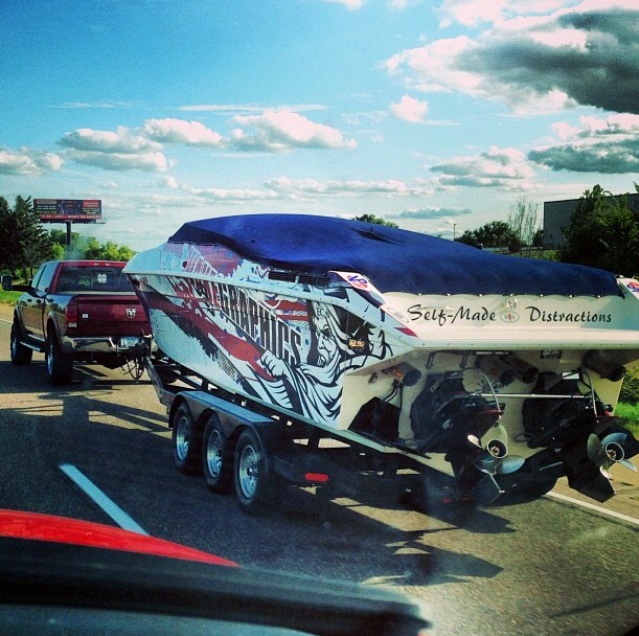 Boat wraps is an excellent way to protect your boat and at the same time stand out from the crowd. 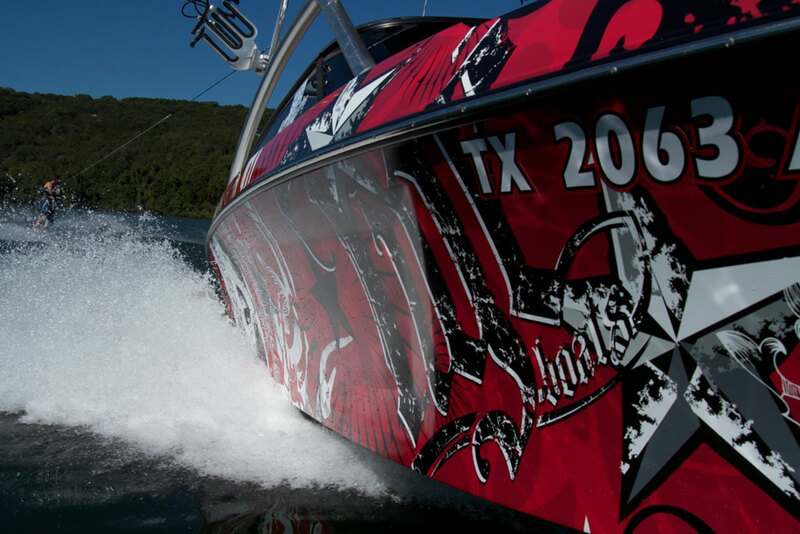 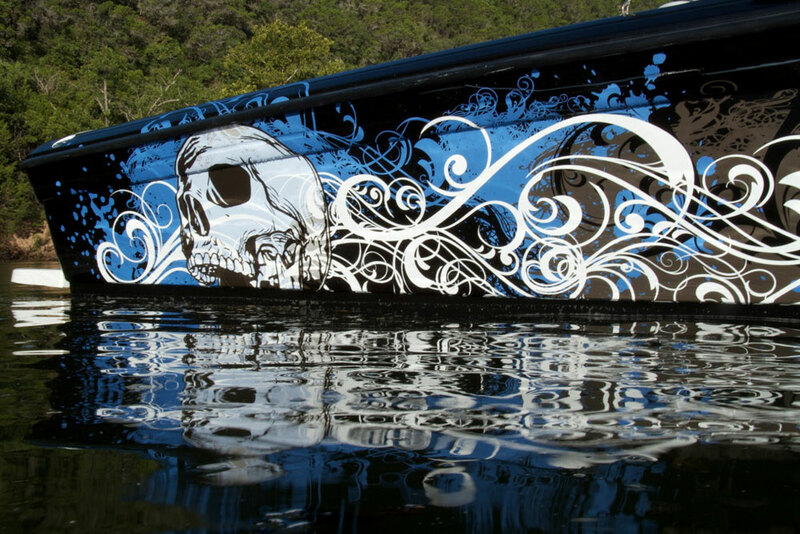 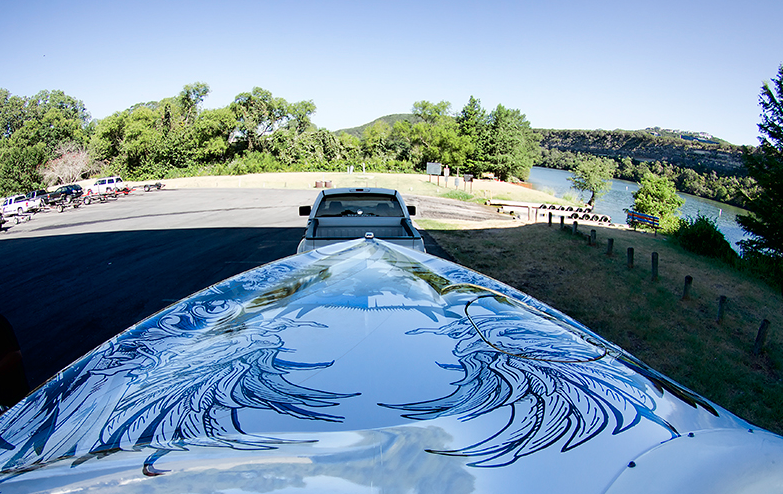 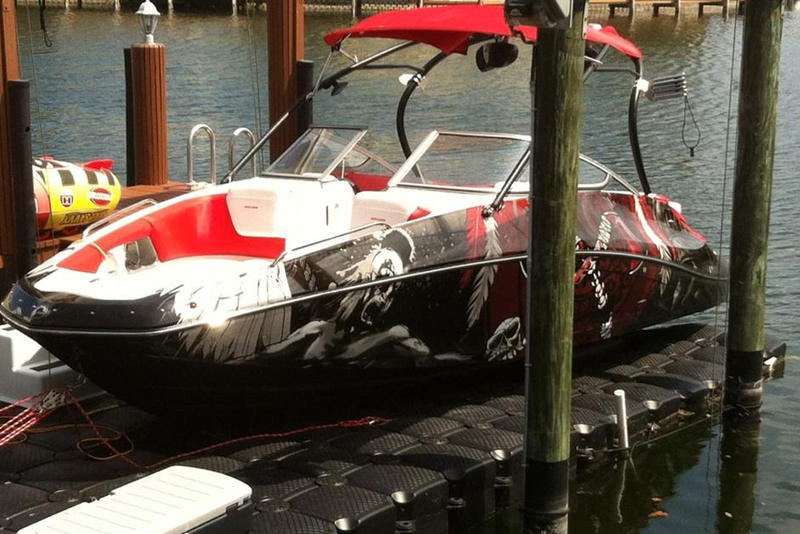 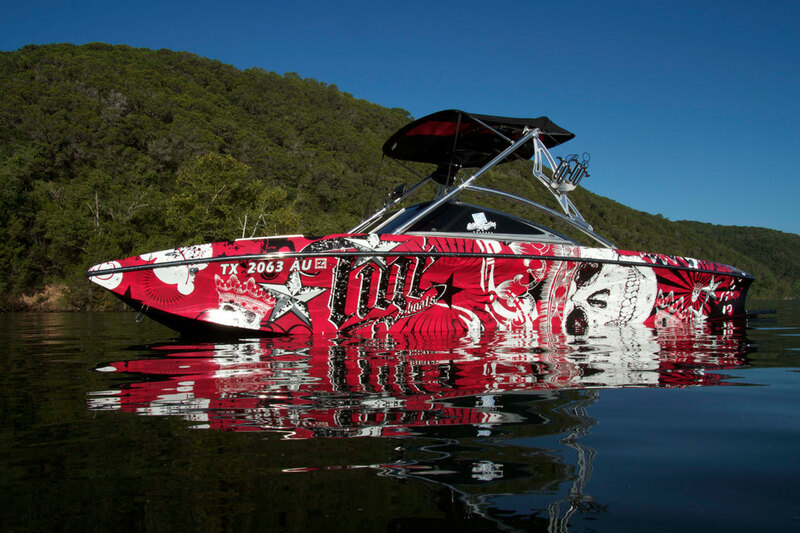 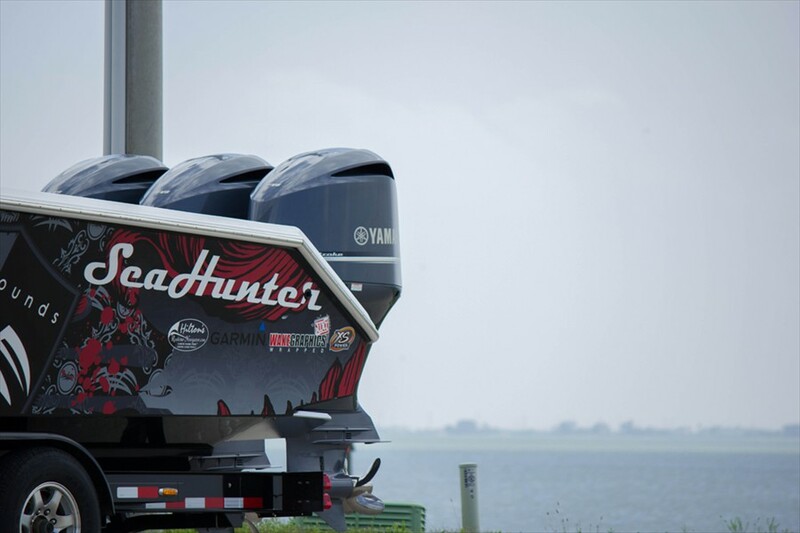 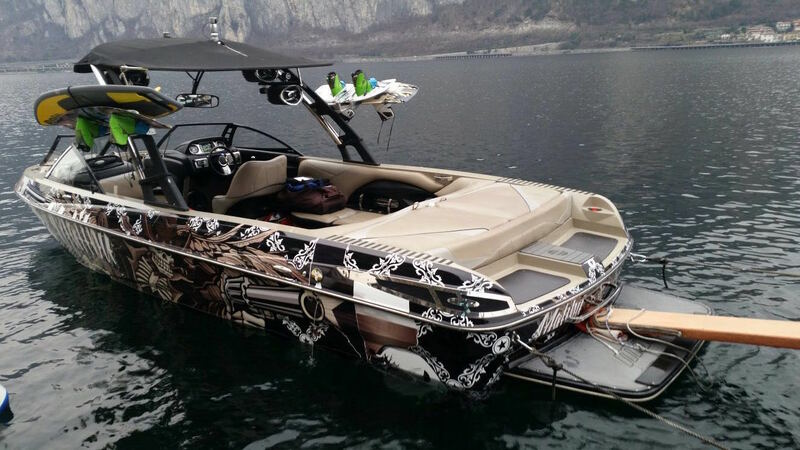 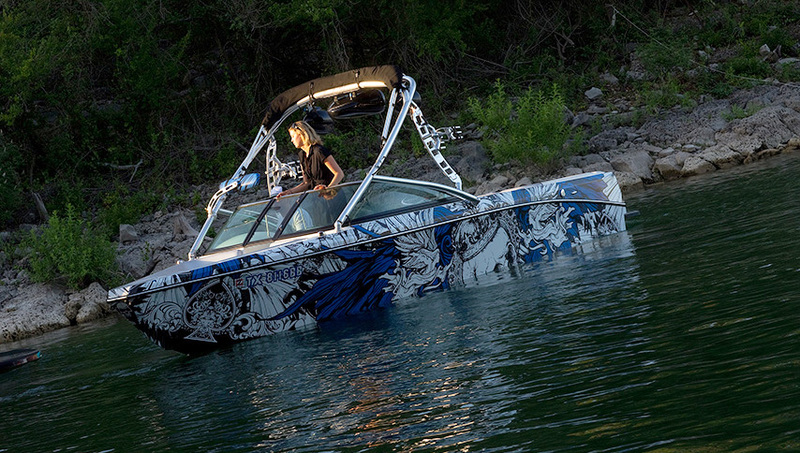 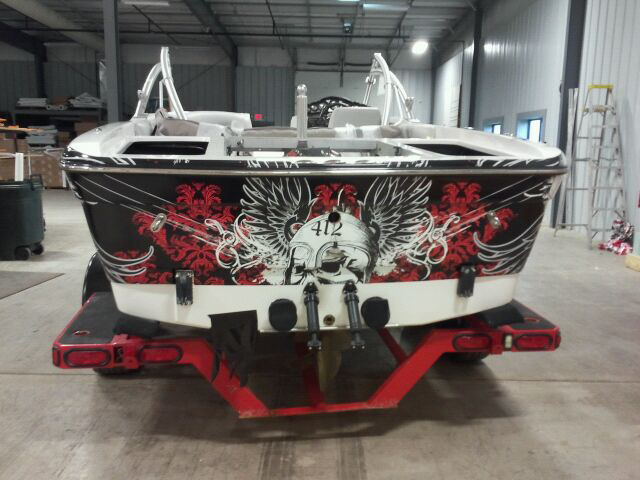 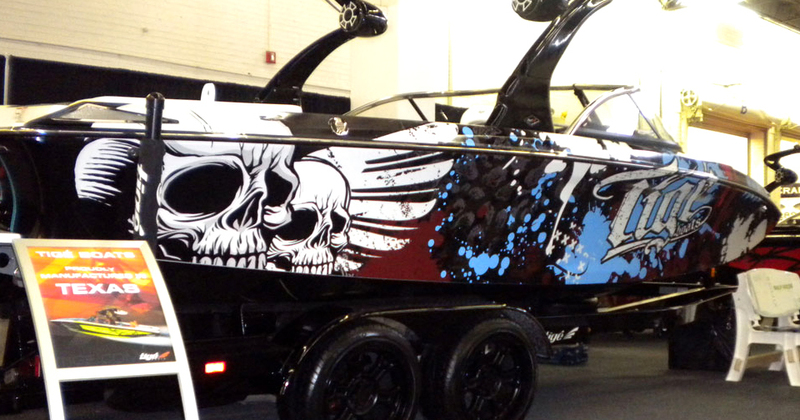 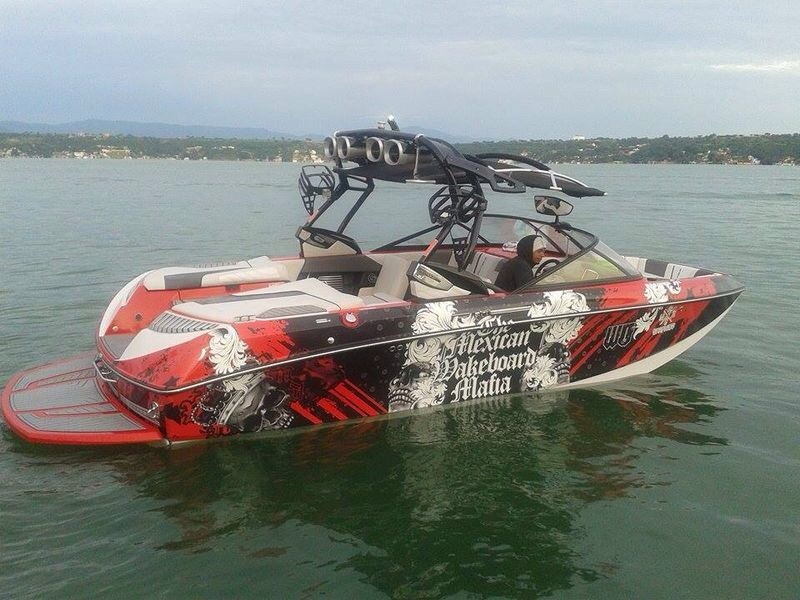 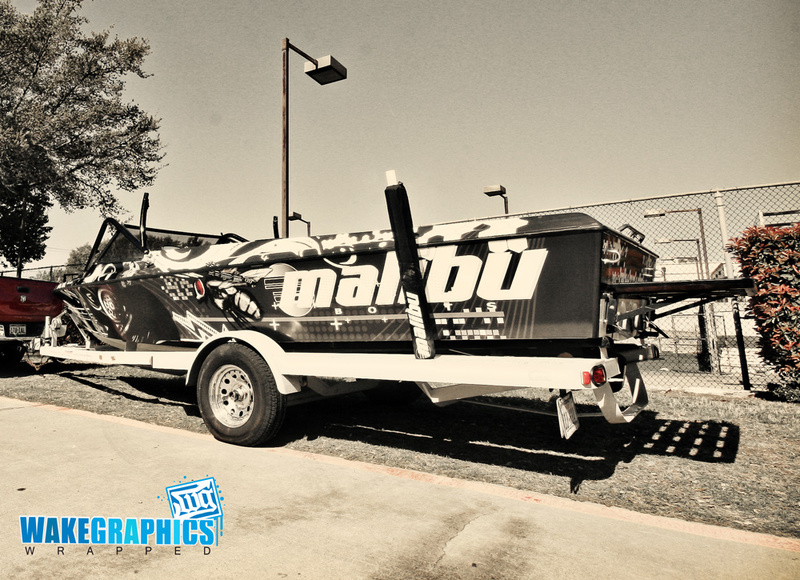 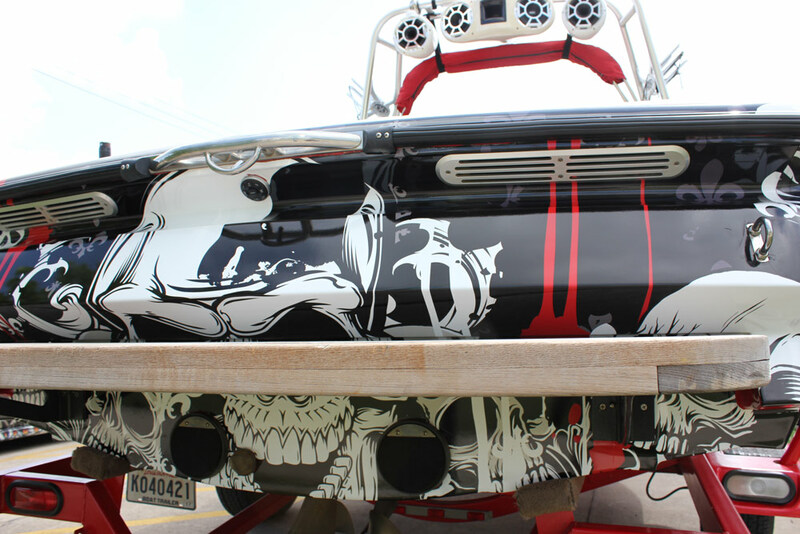 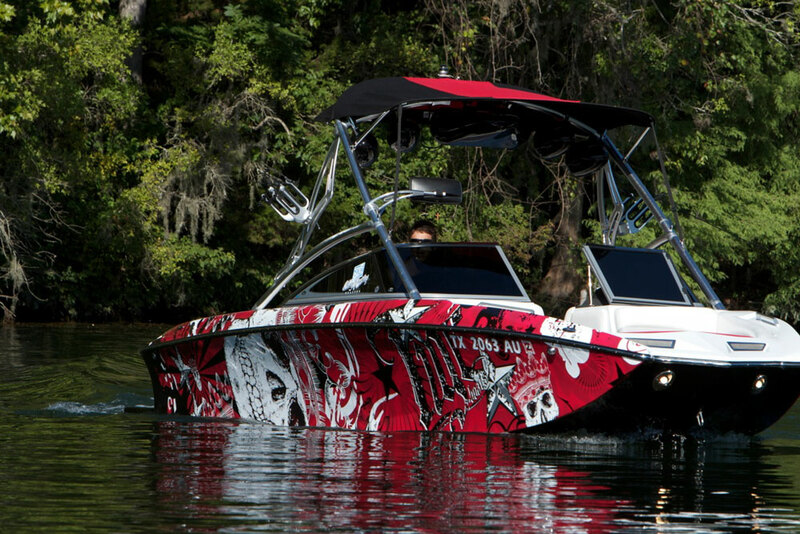 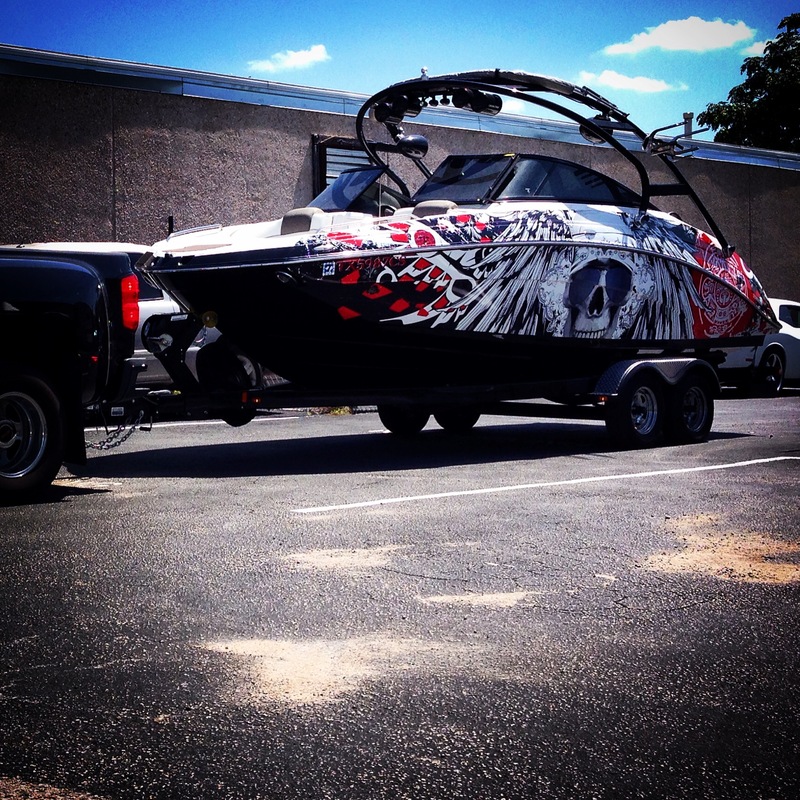 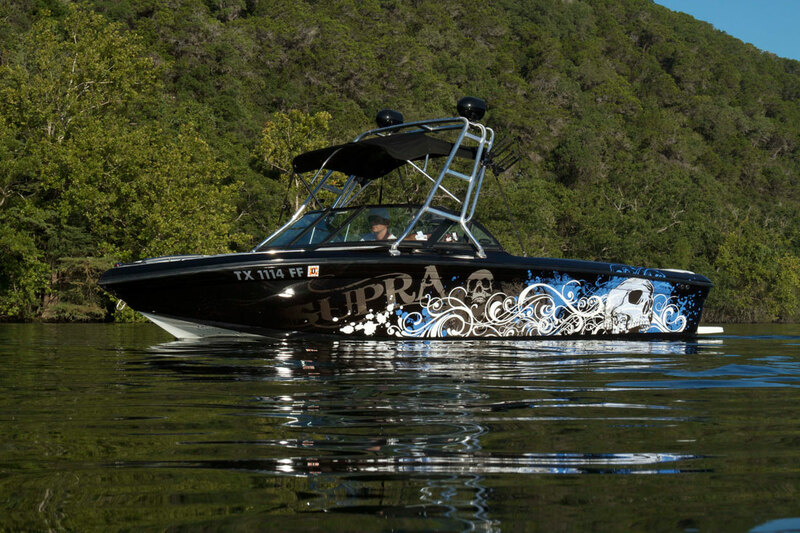 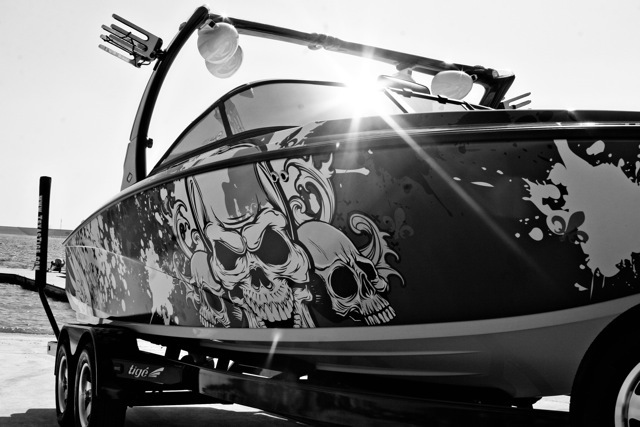 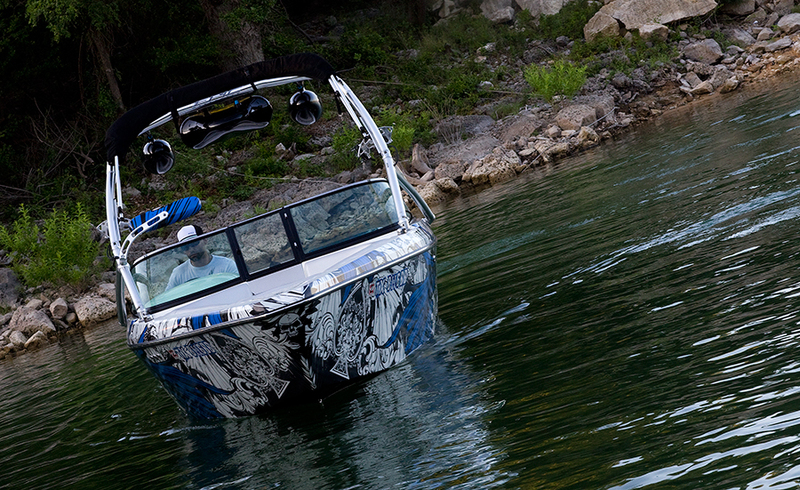 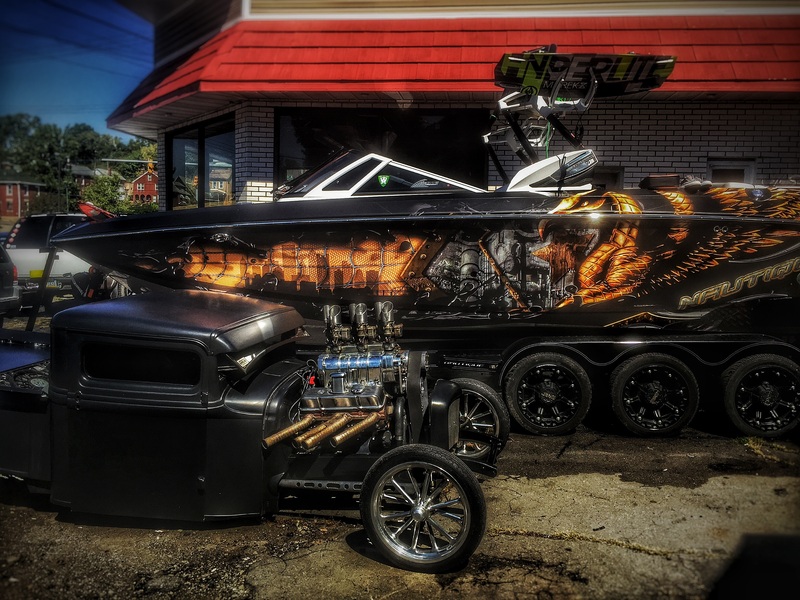 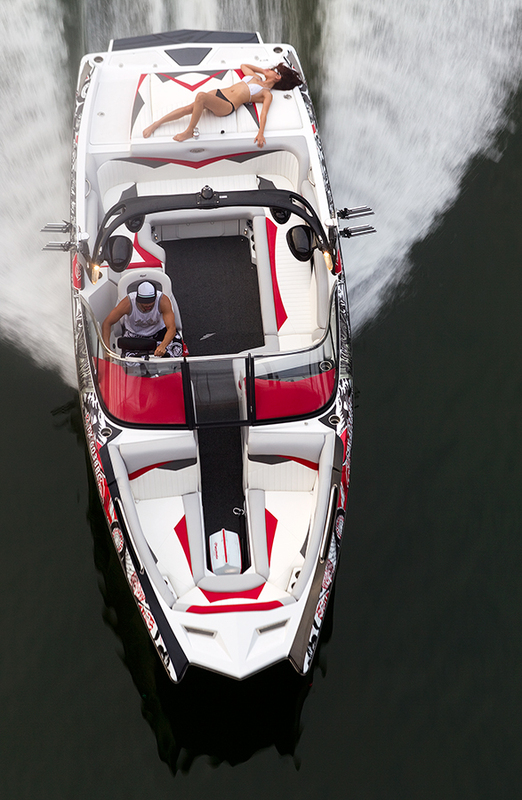 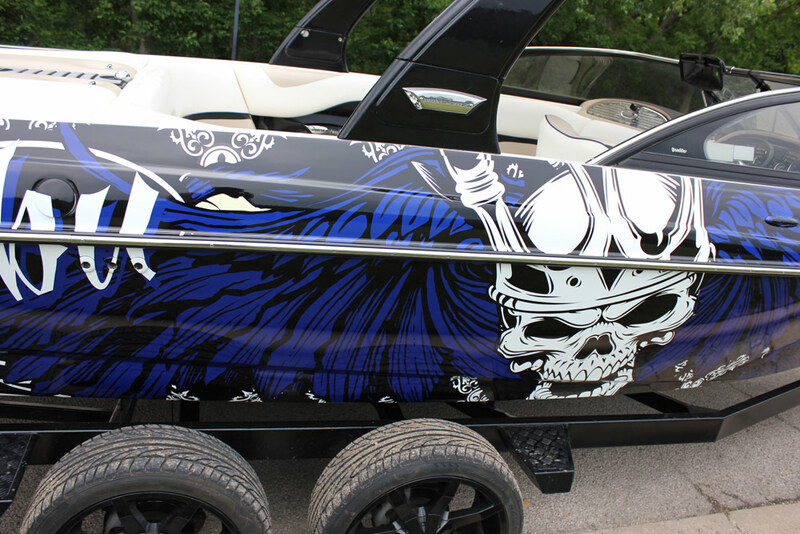 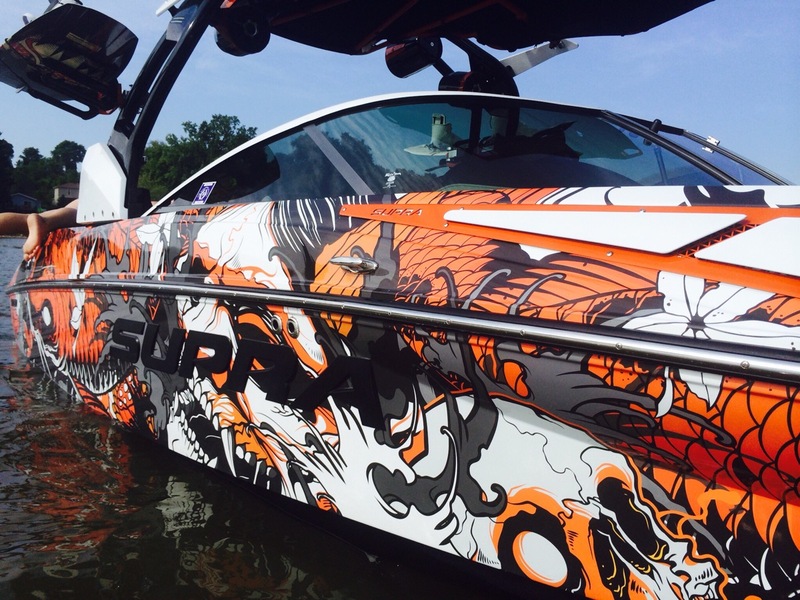 Boat wraps gives your boat a presence. 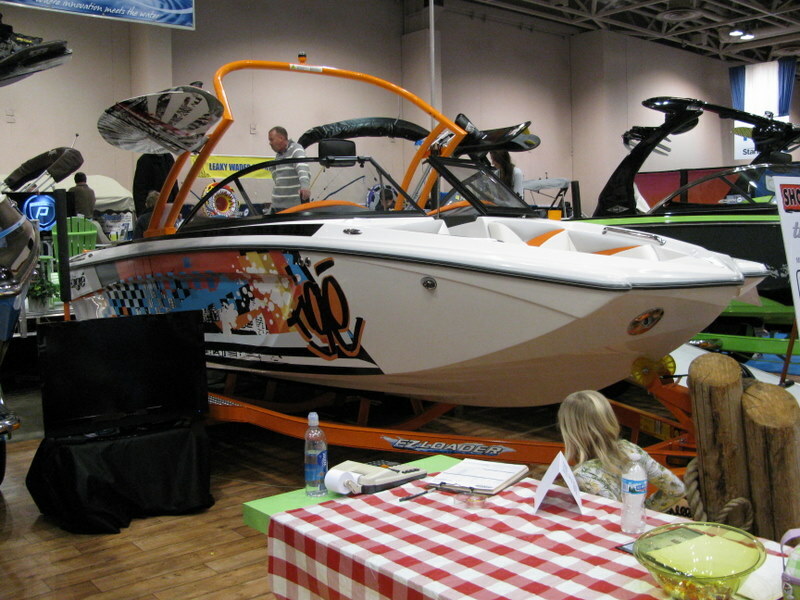 The boat industry has embraced this modern method due to its advantages. 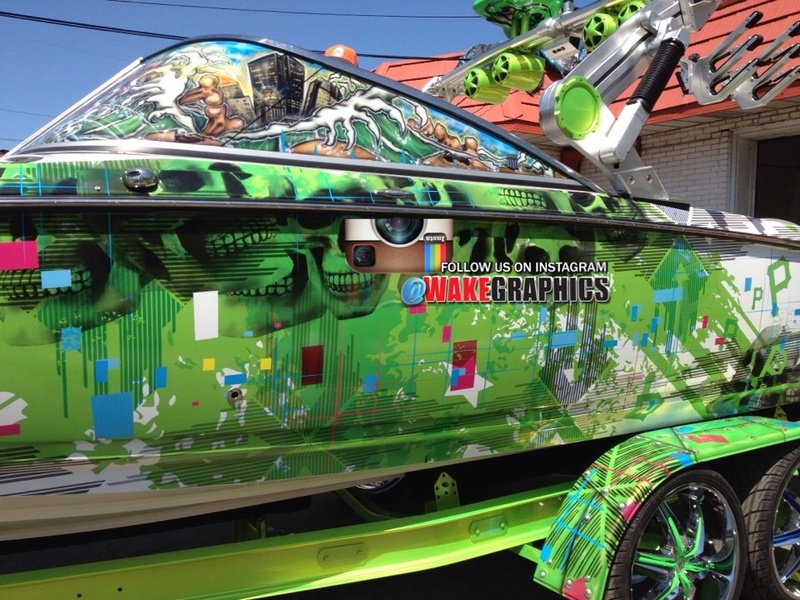 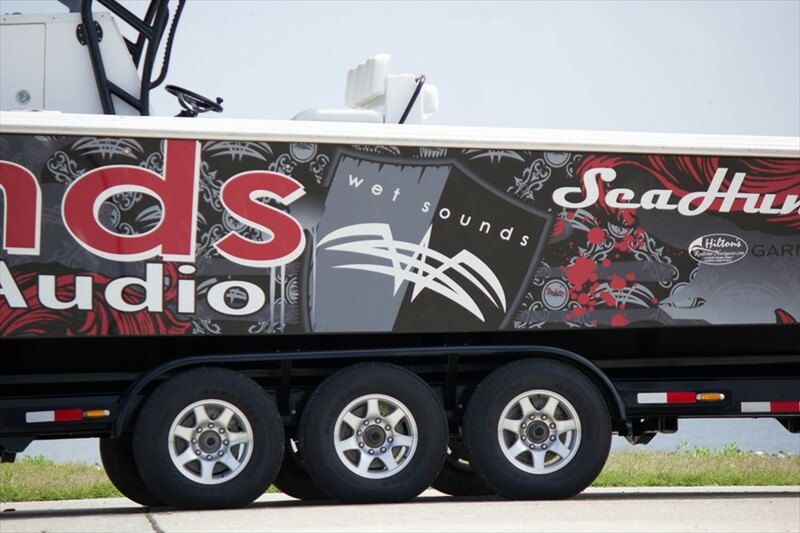 Wake Graphics are experts when it comes to creating, installing, and combining cutting edge designs that is suited for your needs.